2016 West Bengal Assembly Election Result constituency name wise, 2016 Bengal Assemble Poll Result seat name wise, district name wise 2016 Bengal Assemble Election Result, area name wise Bengal Bidhansabha Vote Result 2016, Constituency name wise Bengal Vidhan Sabha Vote Result 2016, Seat name wise Bangla Vote Result 2016, Who wins in which seat in Bengal Assemble Election 2016, Result of Bengal Bidhansabha Vote, 2016 Bengal Vidhan Sabha Vote Result area name, district name and constituency / seat name wise 2016 Bengal Bidhansabha Vote result. West Bengal Assembly Election 2016 in 294 seats was taken in 7 Phases by Election Commission of India (Nirvachan Commission) in April & May. Now, the time has come to declare the Result of 2016 Bengal Bidhansabha Vote. We have already informed about overall Result of 2016 Bengal Vidhan Sabha Election and now presenting detail report of 2016 Bengal Assembly Election Result by Constituency name wise. This seat name wise Result of Bengal Bidhansabha Vote 2016, will help to understand who wins where. Mekhliganj, Coochbehar constituency - Bengal Vidhan Sabha Vote Result 2016 - TMC Candidate Arghya Roy Pradhan WON by 6637 Vote margin. Mathabhanga, Coochbehar constituency - Bengal Vidhan Sabha Vote Result 2016 - TMC Candidate Binoy Krishna Barman WON by 31918 Vote margin. Cooch Behar Uttar (North), Coochbehar constituency - Bengal Vidhan Sabha Vote Result 2016 - Forward Block Candidate Nagendra Nath Roy WON by 12293 Vote margin. Cooch Behar Dakshin (South), Coochbehar constituency - Bengal Vidhan Sabha Vote Result 2016 - TMC Candidate Mihir Goswami WON by 18195 Vote margin. Sitalkhuchi, Coochbehar constituency - Bengal Vidhan Sabha Vote Result 2016 - TMC Candidate Hiten Barman WON by 15483 Vote margin. Sitai, Coochbehar constituency - Bengal Vidhan Sabha Vote Result 2016 - TMC Candidate Jagadish Roy WON by 25251 Vote margin. Dinhata, Coochbehar constituency - Bengal Vidhan Sabha Vote Result 2016 - TMC Candidate Udayan Guha WON by 21793 Vote margin. Natabari, Coochbehar constituency - Bengal Vidhan Sabha Vote Result 2016 - TMC Candidate Rabindranath Ghosh WON by 16157 Vote margin. Tufangunj, Coochbehar constituency - Bengal Vidhan Sabha Vote Result 2016 - TMC Candidate Fajle Karim Mia WON by 15270 Vote margin. Kumargram, Alipurduar constituency - Bengal Vidhan Sabha Vote Result 2016 - TMC Candidate James Kujur WON by 6153 Vote margin. Kalchini, Alipurduar constituency - Bengal Vidhan Sabha Vote Result 2016 - TMC Candidate Wilson Champramari WON by 1511 Vote margin. Alipurduar, Alipurduar constituency - Bengal Vidhan Sabha Vote Result 2016 - TMC Candidate Sourav Chakraborty WON by 11958 Vote margin. Falakata, Alipurduar constituency - Bengal Vidhan Sabha Vote Result 2016 - TMC Candidate Anil Adhikary WON by 16839 Vote margin. Madarihat, Alipurduar constituency - Bengal Vidhan Sabha Vote Result 2016 - BJP Candidate Manoj Tippa WON by 22038 Vote margin. Dhupguri, Jalpaiguri constituency - Bengal Vidhan Sabha Vote Result 2016 - TMC Candidate Mitali Roy WON by 19264 Vote margin. Maynaguri, Jalpaiguri constituency - Bengal Vidhan Sabha Vote Result 2016 - TMC Candidate Ananta Dev Adhikary WON by 34907 Vote margin. Jalpaiguri, Jalpaiguri constituency - Bengal Vidhan Sabha Vote Result 2016 - Congress Candidate Sukhbilas Burma WON with Vote margin of 5157. Rajganj, Jalpaiguri constituency - Bengal Vidhan Sabha Vote Result 2016 - TMC Candidate Khageshwar Roy WON with Vote margin of 14677. Dabgram - Fulbari, Jalpaiguri constituency - Bengal Vidhan Sabha Vote Result 2016 - TMC Candidate Goutam Deb WON with Vote margin of 23811. Mal, Jalpaiguri constituency - Bengal Vidhan Sabha Vote Result 2016 - TMC Candidate Bulu Chik Boraik WON with Vote margin of 18462. Nagrakata, Jalpaiguri constituency - Bengal Vidhan Sabha Vote Result 2016 - TMC Candidate Sukhna Munda WON with Vote margin of 3228. Kalimpong, Darjeeling constituency - Bengal Vidhan Sabha Vote Result 2016 - Gorkha Janamukti Morcha candidate Sarita Rai WON with Vote margin of 7431. Darjeeling, Darjeeling constituency - Bengal Vidhan Sabha Vote Result 2016 - Gorkha Janamukti Morcha candidate Amar Singh Rai WON with Vote margin of 49913. Karsiang, Darjeeling constituency - Bengal Vidhan Sabha Vote Result 2016 - GJM candidate Rohit Sharma WON with Vote margin of 4448. Matigara - Naxalbari, Darjeeling constituency - Bengal Vidhan Sabha Vote Result 2016 - Congress candidate Shankar Malakar WON with Vote margin of 18627. Siliguri, Darjeeling constituency - Bengal Vidhan Sabha Vote Result 2016 - CPM Candidate Ashoke Bhattacharjee WON with Vote margin of 14072. Fasideowa, Darjeeling constituency - Bengal Vidhan Sabha Vote Result 2016 - Congress Candidate Sunil Chandra Tirkey WON with Vote margin of 7074. Chopra, Uttar Dinajpur [North Dinajpur] constituency - Bengal Vidhan Sabha Vote Result 2016 - TMC candidate Hamidur Rahman WON with Vote margin of 16860. Islampur, Uttar Dinajpur [North Dinajpur] constituency - Bengal Vidhan Sabha Vote Result 2016 - Congress candidate Kanhaialal Agarwal WON with Vote margin of 7718. Goalpokhar, Uttar Dinajpur [North Dinajpur] constituency - Bengal Vidhan Sabha Vote Result 2016 - TMC candidate Mohammad Gulam Rabbani WON with Vote margin of 7748. Chakulia, Uttar Dinajpur [North Dinajpur] constituency - Bengal Vidhan Sabha Vote Result 2016 - Forward Block candidate Ali Imran Ramaj WON with Vote margin of 27529. Karandighi, Uttar Dinajpur [North Dinajpur] constituency - Bengal Vidhan Sabha Vote Result 2016 - TMC candidate Monodeb Singh WON with Vote margin of 3232. Mehtabad, Uttar Dinajpur [North Dinajpur] constituency - Bengal Vidhan Sabha Vote Result 2016 - CPM candidate Debendra Nath Roy WON with Vote margin of 13136. Kaliaganj, Uttar Dinajpur [North Dinajpur] constituency - Bengal Vidhan Sabha Vote Result 2016 - Congress candidate Pramoth Nath Roy WON with Vote margin of 46602. Raygunj, Uttar Dinajpur [North Dinajpur] constituency - Bengal Vidhan Sabha Vote Result 2016 - Congress candidate Mohit Sengupta WON with Vote margin of 51247. Itahar, Uttar Dinajpur [North Dinajpur] constituency - Bengal Vidhan Sabha Vote Result 2016 - TMC candidate Amal Acharya WON with Vote margin of 19120. Kushmandi, Dakshin Dinajpur [South Dinajpur] constituency - Bengal Vidhan Sabha Vote Result 2016 - RSP candidate Narmada Chandra Roy WON with Vote margin of 3529. Kumarganj, Dakshin Dinajpur [South Dinajpur] constituency - Bengal Vidhan Sabha Vote Result 2016 - TMC candidate Toraf Hossain Mondal WON with Vote margin of 3496. Balurghat, Dakshin Dinajpur [South Dinajpur] constituency - Bengal Vidhan Sabha Vote Result 2016 - RSP candidate Biswanath Chowdhury WON with Vote margin of 1450. Tapan, Dakshin Dinajpur [South Dinajpur] constituency - Bengal Vidhan Sabha Vote Result 2016 - TMC candidate Bachhu Hansda WON with Vote margin of 4401. Gangarampur, Dakshin Dinajpur [South Dinajpur] constituency - Bengal Vidhan Sabha Vote Result 2016 - Congress candidate Goutam Das WON with Vote margin of 10733. Harirampur, Dakshin Dinajpur [South Dinajpur] constituency - Bengal Vidhan Sabha Vote Result 2016 - CPM candidate Rafikul Islam WON with Vote margin of 4504. Habibpur, Malda constituency - Bengal Vidhan Sabha Vote Result 2016 - CPM candidate Khagen Murmu WON with Vote margin of 2512. Gajole, Malda constituency - Bengal Vidhan Sabha Vote Result 2016 - CPM candidate Dipali Biswas WON with Vote margin of 20602. Chanchol, Malda constituency - Bengal Vidhan Sabha Vote Result 2016 - Congress candidate Asif Mehboob WON with Vote margin of 52368. Harishchandrapur, Malda constituency - Bengal Vidhan Sabha Vote Result 2016 - Congress candidate Mustaq Alam WON with Vote margin of 17857. Maltipur, Malda constituency - Bengal Vidhan Sabha Vote Result 2016 - Congress candidate Albiruni Zulkirnain WON with Vote margin of 2600. Ratua, Malda constituency - Bengal Vidhan Sabha Vote Result 2016 - Congress candidate Samar Mukhopadhyay WON with Vote margin of 43275. Manikchawk, Malda constituency - Bengal Vidhan Sabha Vote Result 2016 - Congress candidate Mustakin Alam WON with Vote margin of 12603. Maldaha, Malda constituency - Bengal Vidhan Sabha Vote Result 2016 - Congress candidate Bhupendra Nath Haldar WON with Vote margin of 33309. Engrejbazar, Malda constituency - Bengal Vidhan Sabha Vote Result 2016 - Nirdal candidate Nihar Ghosh WON with Vote margin of 39727. Mothabari, Malda constituency - Bengal Vidhan Sabha Vote Result 2016 - Congress candidate Sabina Yashmin WON with Vote margin of 38174. Sujapur, Malda constituency - Bengal Vidhan Sabha Vote Result 2016 - Congress candidate Isa Khan Chowdhury WON with Vote margin of 47080. Baisnabnagar, Malda constituency - Bengal Vidhan Sabha Vote Result 2016 - BJP candidate Swadhin Kumar Sarkar WON with Vote margin of 4497. Farakka, Murshidabad constituency - Bengal Vidhan Sabha Vote Result 2016 - Congress candidate Mainul Hoque WON with Vote margin of 28167. Shamsherganj, Murshidabad constituency - Bengal Vidhan Sabha Vote Result 2016 - TMC candidate Amirul Islam WON with Vote margin of 1780. Suti, Murshidabad constituency - Bengal Vidhan Sabha Vote Result 2016 - Congress candidate Humayun Reja WON with Vote margin of 3950. Jangipur, Murshidabad constituency - Bengal Vidhan Sabha Vote Result 2016 - TMC candidate Zakir Hosaain WON with Vote margin of 20633. Raghunathganj, Murshidabad constituency - Bengal Vidhan Sabha Vote Result 2016 - Congress candidate Akhrajjuman WON with Vote margin of 23786. Sagardighi, Murshidabad constituency - Bengal Vidhan Sabha Vote Result 2016 - TMC candidate Subrata Saha WON with Vote margin of 7214. Lalgola, Murshidabad constituency - Bengal Vidhan Sabha Vote Result 2016 - Congress candidate Abu Hena WON with Vote margin of 53475. Raninagar, Murshidabad constituency - Bengal Vidhan Sabha Vote Result 2016 - Congress candidate Firoza Begam WON with Vote margin of 48382. Bhagangola, Murshidabad constituency - Bengal Vidhan Sabha Vote Result 2016 - CPM candidate Mohsin Ali WON with Vote margin of 36305. Murshidabad, Murshidabad constituency - Bengal Vidhan Sabha Vote Result 2016 - Congress candidate Shaoni Singha Roy WON with Vote margin of 25129. Nabagram, Murshidabad constituency - Bengal Vidhan Sabha Vote Result 2016 - CPM candidate Kanai Chandra Mandal WON with Vote margin of 38443. Khargram, Murshidabad constituency - Bengal Vidhan Sabha Vote Result 2016 - Congress candidate Asish Marjit WON with Vote margin of 33173. Barancha, Murshidabad constituency - Bengal Vidhan Sabha Vote Result 2016 - Congress candidate Pratima Rajak WON with Vote margin of 15002. Kandi, Murshidabad constituency - Bengal Vidhan Sabha Vote Result 2016 - Congress candidate Apurba Sarkar WON with Vote margin of 20780. Bharatpur, Murshidabad constituency - Bengal Vidhan Sabha Vote Result 2016 - Congress candidate Kamalesh Chattopadhyay WON with Vote margin of 11017. Rejinagar, Murshidabad constituency - Bengal Vidhan Sabha Vote Result 2016 - Congress candidate Rabiul Alam Chowdhury WON with Vote margin of 5560. Beldanga, Murshidabad constituency - Bengal Vidhan Sabha Vote Result 2016 - Congress candidate Safiujjaman Sekh WON with Vote margin of 30281. Berhampur, Murshidabad constituency - Bengal Vidhan Sabha Vote Result 2016 - Congress candidate Manoj Chakraborty WON with Vote margin of 92273. Hariharpara, Murshidabad constituency - Bengal Vidhan Sabha Vote Result 2016 - TMC candidate Niamat Sekh WON with Vote margin of 5003. Naoda, Murshidabad constituency - Bengal Vidhan Sabha Vote Result 2016 - Congress candidate Abu Taher Khan WON with Vote margin of 19262. Domkal, Murshidabad constituency - Bengal Vidhan Sabha Vote Result 2016 - CPM candidate Anisur Rahman WON with Vote margin of 6890. Jalangi, Murshidabad constituency - Bengal Vidhan Sabha Vote Result 2016 - CPM candidate Abdul Rezzak Mandal WON with Vote margin of 25267. Karimpur, Nadia constituency - Bengal Vidhan Sabha Vote Result 2016 - TMC candidate Mahua Maitra WON with Vote margin of 15989. Tehatta, Nadia constituency - Bengal Vidhan Sabha Vote Result 2016 - TMC candidate Gouri Sankar Dutta WON with Vote margin of 17396. Palasi Para (Plassey), Nadia constituency - Bengal Vidhan Sabha Vote Result 2016 - TMC candidate Tapas Saha WON with Vote margin of 5559. Kaligunj, Nadia constituency - Bengal Vidhan Sabha Vote Result 2016 - Congress candidate Nasiruddin Ahmed WON with Vote margin of 1227. Nakashipara, Nadia constituency - Bengal Vidhan Sabha Vote Result 2016 - TMC candidate Kallol Khan WON with Vote margin of 6250. Chapra, Nadia constituency - Bengal Vidhan Sabha Vote Result 2016 - TMC candidate Rukbanur Rahman WON with Vote margin of 13463. Krishnanagar Uttar (North), Nadia constituency - Bengal Vidhan Sabha Vote Result 2016 - TMC candidate Abani Mohan Joardar WON with Vote margin of 12915. Nabadwip, Nadia constituency - Bengal Vidhan Sabha Vote Result 2016 - TMC candidate Pundarikakhya Saha WON with Vote margin of 35796. Krishnanagar Dakshin (South), Nadia constituency - Bengal Vidhan Sabha Vote Result 2016 - TMC candidate Ujjwal Biswas WON with Vote margin of 12814. Shantipur, Nadia constituency - Bengal Vidhan Sabha Vote Result 2016 - Congress candidate Arindam Bhattacharjee WON with Vote margin of 19488. Ranaghat Uttar Paschim [North West], Nadia constituency - Bengal Vidhan Sabha Vote Result 2016 - Congress candidate Shankar Singha WON with Vote margin of 23420. Krishnagunj, Nadia constituency - Bengal Vidhan Sabha Vote Result 2016 - TMC candidate Satyajit Biswas WON with Vote margin of 43928. Ranaghat Uttar Purba (North East), Nadia constituency - Bengal Vidhan Sabha Vote Result 2016 - TMC candidate Samir Poddar WON with Vote margin of 14972. Ranaghat Dakshin [South], Nadia constituency - Bengal Vidhan Sabha Vote Result 2016 - CPM candidate Rama Biswas WON with Vote margin of 72253. Chakdaha, Nadia constituency - Bengal Vidhan Sabha Vote Result 2016 - TMC candidate Ratna Ghosh WON with Vote margin of 23652. Kalyani, Nadia constituency - Bengal Vidhan Sabha Vote Result 2016 - TMC candidate Ramendra Nath Biswas WON with Vote margin of 26095. Haringhata, Nadia constituency - Bengal Vidhan Sabha Vote Result 2016 - TMC candidate Nilima Nag WON with Vote margin of 21349. Bagda, North 24-Parganas [24 Pgs (N)] constituency - Bengal Vidhan Sabha Vote Result 2016 - Congress candidate Dulal Bor WON with Vote margin of 12236. Bongaon Uttar, North 24-Parganas [24 Pgs (N)] constituency - Bengal Vidhan Sabha Vote Result 2016 - TMC candidate Biswajit Das WON with Vote margin of 33192. Bongaon Dakshin, North 24-Parganas [24 Pgs (N)] constituency - Bengal Vidhan Sabha Vote Result 2016 - TMC candidate Surajit Kumar Biswas WON with Vote margin of 26904. Gaighata, North 24-Parganas [24 Pgs (N)] constituency - Bengal Vidhan Sabha Vote Result 2016 - TMC candidate Pulin Bihari Roy WON with Vote margin of 29572. Swarupnagar, North 24-Parganas [24 Pgs (N)] constituency - Bengal Vidhan Sabha Vote Result 2016 - TMC candidate Bina Mandal WON with Vote margin of 11941. Baduria, North 24-Parganas [24 Pgs (N)] constituency - Bengal Vidhan Sabha Vote Result 2016 - Congress candidate Kazi Abdul Rahim WON with Vote margin of 22245. Habra, North 24-Parganas [24 Pgs (N)] constituency - Bengal Vidhan Sabha Vote Result 2016 - TMC candidate Jyotipriya Mallick WON with Vote margin of 45947. 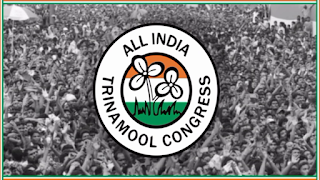 Ashoknagar, North 24-Parganas [24 Pgs (N)] constituency - Bengal Vidhan Sabha Vote Result 2016 - TMC candidate Dhiman Roy WON with Vote margin of 22899. Amdanga, North 24-Parganas [24 Pgs (N)] constituency - Bengal Vidhan Sabha Vote Result 2016 - TMC candidate Rafikur Rahman WON with Vote margin of 22965. Bijpur, North 24-Parganas [24 Pgs (N)] constituency - Bengal Vidhan Sabha Vote Result 2016 - TMC candidate Subhrangshu Roy WON with Vote margin of 47954. Naihati, North 24-Parganas [24 Pgs (N)] constituency - Bengal Vidhan Sabha Vote Result 2016 - TMC candidate Partha Bhowmik WON with Vote margin of 28628. Bhatpara, North 24-Parganas [24 Pgs (N)] constituency - Bengal Vidhan Sabha Vote Result 2016 - TMC candidate Arjun Singh WON with Vote margin of 28935. Jagaddal, North 24-Parganas [24 Pgs (N)] constituency - Bengal Vidhan Sabha Vote Result 2016 - TMC candidate Parash Dutta WON with Vote margin of 27045. Noapara, North 24-Parganas [24 Pgs (N)] constituency - Bengal Vidhan Sabha Vote Result 2016 - Congress candidate Madhusudan Ghosh WON with Vote margin of 1095. Barrackpore, North 24-Parganas [24 Pgs (N)] constituency - Bengal Vidhan Sabha Vote Result 2016 - TMC candidate Silbhadra Dutta WON with Vote margin of 7319. Khardaha, North 24-Parganas [24 Pgs (N)] constituency - Bengal Vidhan Sabha Vote Result 2016 - TMC candidate Amit Mitra WON with Vote margin of 21200. Dumdum Uttar (North Dum Dum), North 24-Parganas [24 Pgs (N)] constituency - Bengal Vidhan Sabha Vote Result 2016 - TMC Heavyweight candidate Chandrima Bhattacharya lost to CPM Candidate Tanmay Bhattacharjee (Win) with Vote margin of 6549. Panihati, North 24-Parganas [24 Pgs (N)] constituency - Bengal Vidhan Sabha Vote Result 2016 - TMC candidate Nirmal Ghosh WON with Vote margin of 3030. Kamarhati, North 24-Parganas [24 Pgs (N)] constituency - Bengal Vidhan Sabha Vote Result 2016 - TMC heavyweight candidate Madan Mitra Lost to CPM Candidate Manas Mukherjee, who WON with Vote margin of 4198. Baranagar, North 24-Parganas [24 Pgs (N)] constituency - Bengal Vidhan Sabha Vote Result 2016 - TMC candidate Tapas Roy WON with Vote margin of 16100. Dum Dum, North 24-Parganas [24 Pgs (N)] constituency - Bengal Vidhan Sabha Vote Result 2016 - TMC candidate Bratya Basu WON with Vote margin of 9316. Rajarhat New Town, North 24-Parganas [24 Pgs (N)] constituency - Bengal Vidhan Sabha Vote Result 2016 - TMC candidate Sabyasachi Dutta WON with Vote margin of 9193. Bidhannagar, North 24-Parganas [24 Pgs (N)] constituency - Bengal Vidhan Sabha Vote Result 2016 - TMC candidate Sujit Basu WON with Vote margin of 6988. Rajarhat Gopalpur, North 24-Parganas [24 Pgs (N)] constituency - Bengal Vidhan Sabha Vote Result 2016 - TMC candidate Purnendu Basu WON with Vote margin of 6874. Madhyamgram, North 24-Parganas [24 Pgs (N)] constituency - Bengal Vidhan Sabha Vote Result 2016 - TMC candidate Rathin Ghosh WON with Vote margin of 35804. Barasat, North 24-Parganas [24 Pgs (N)] constituency - Bengal Vidhan Sabha Vote Result 2016 - TMC candidate Chiranjit WON with Vote margin of 24999. Deganga, North 24-Parganas [24 Pgs (N)] constituency - Bengal Vidhan Sabha Vote Result 2016 - TMC candidate Rahim Mandal WON with Vote margin of 25990. Haroa, North 24-Parganas [24 Pgs (N)] constituency - Bengal Vidhan Sabha Vote Result 2016 - TMC candidate Haji Sekh Nurul Islam WON with Vote margin of 42407. Minakha, North 24-Parganas [24 Pgs (N)] constituency - Bengal Vidhan Sabha Vote Result 2016 - TMC candidate Usha Rani Mandal WON with Vote margin of 42598. Sandeshkhali, North 24-Parganas [24 Pgs (N)] constituency - Bengal Vidhan Sabha Vote Result 2016 - TMC candidate Sukumar Mahato WON with Vote margin of 38190. Basirhat Dakshin, North 24-Parganas [24 Pgs (N)] constituency - Bengal Vidhan Sabha Vote Result 2016 - TMC candidate Dipendu Biswas WON with Vote margin of 28058. Basirhat Uttar, North 24-Parganas [24 Pgs (N)] constituency - Bengal Vidhan Sabha Vote Result 2016 - CPM candidate Rafikul Islam Mandal WON with Vote margin of 492. Hingalganj, North 24-Parganas [24 Pgs (N)] constituency - Bengal Vidhan Sabha Vote Result 2016 - TMC candidate Debesh Mandal WON with Vote margin of 3304. Gosaba, South 24-Parganas [24 Pgs (S)] constituency - Bengal Vidhan Sabha Vote Result 2016 - TMC candidate Jayanta Naskar WON with Vote margin of 19671. Basanti, South 24-Parganas [24 Pgs (S)] constituency - Bengal Vidhan Sabha Vote Result 2016 - TMC candidate Gobinda Chandra Naskar WON with Vote margin of 16607. Kultali, South 24-Parganas [24 Pgs (S)] constituency - Bengal Vidhan Sabha Vote Result 2016 - CPM candidate Ram Shankar Haldar WON with Vote margin of 11720. Patharpratima, South 24-Parganas [24 Pgs (S)] constituency - Bengal Vidhan Sabha Vote Result 2016 - TMC candidate Samir Jana WON with Vote margin of 13793. Kakdwip, South 24-Parganas [24 Pgs (S)] constituency - Bengal Vidhan Sabha Vote Result 2016 - TMC candidate Mantu Ram Pakhira WON with Vote margin of 24889. Sagar, South 24-Parganas [24 Pgs (S)] constituency - Bengal Vidhan Sabha Vote Result 2016 - TMC candidate Bankim Hazra WON with Vote margin of 18071. Kulpi, South 24-Parganas [24 Pgs (S)] constituency - Bengal Vidhan Sabha Vote Result 2016 - TMC candidate Jagaranjan Haldar WON with Vote margin of 11455. Mandirbazar, South 24-Parganas [24 Pgs (S)] constituency - Bengal Vidhan Sabha Vote Result 2016 - TMC candidate Joydeb Haldar WON with Vote margin of 24939. Jaynagar, South 24-Parganas [24 Pgs (S)] constituency - Bengal Vidhan Sabha Vote Result 2016 - TMC candidate Biswanath Haldar WON with Vote margin of 15051. Baruipur Purba (East), South 24-Parganas [24 Pgs (S)] constituency - Bengal Vidhan Sabha Vote Result 2016 - TMC candidate Nirmal Mandal WON with Vote margin of 20362. Canning Paschim (West), South 24-Parganas [24 Pgs (S)] constituency - Bengal Vidhan Sabha Vote Result 2016 - TMC candidate Shyamal Mandal WON with Vote margin of 18726. Canning Purba (East), South 24-Parganas [24 Pgs (S)] constituency - Bengal Vidhan Sabha Vote Result 2016 - TMC candidate Sahakat Molla WON with Vote margin of 55034. Baruipur Paschim [West], South 24-Parganas [24 Pgs (S)] constituency - Bengal Vidhan Sabha Vote Result 2016 - TMC candidate Biman Bandopadhyay WON with Vote margin of 36532. Magrahat Purba, South 24-Parganas [24 Pgs (S)] constituency - Bengal Vidhan Sabha Vote Result 2016 - TMC candidate Namita Saha WON with Vote margin of 9560. Magrahat Paschim, South 24-Parganas [24 Pgs (S)] constituency - Bengal Vidhan Sabha Vote Result 2016 - TMC candidate Mohammad Giasuddin Molla WON with Vote margin of 15889. Diamond Harbour, South 24-Parganas [24 Pgs (S)] constituency - Bengal Vidhan Sabha Vote Result 2016 - TMC candidate Deepak Haldar WON with Vote margin of 15037. Falta, South 24-Parganas [24 Pgs (S)] constituency - Bengal Vidhan Sabha Vote Result 2016 - TMC candidate Tamonash Ghosh WON with Vote margin of 23580. Satgachia, South 24-Parganas [24 Pgs (S)] constituency - Bengal Vidhan Sabha Vote Result 2016 - TMC candidate Sonali Guha (Basu) WON with Vote margin of 17272. Bishnupur, South 24-Parganas [24 Pgs (S)] constituency - Bengal Vidhan Sabha Vote Result 2016 - TMC candidate Dilip Mandal WON with Vote margin of 30630. Sonarpur Dakshin, South 24-Parganas [24 Pgs (S)] constituency - Bengal Vidhan Sabha Vote Result 2016 - TMC candidate Jiban Mukopadhyay WON with Vote margin of 15029. Bhangar, South 24-Parganas [24 Pgs (S)] constituency - Bengal Vidhan Sabha Vote Result 2016 - TMC candidate Abdur Rezzak Molla WON with Vote margin of 18128. Kasba, South 24-Parganas [24 Pgs (S)] constituency - Bengal Vidhan Sabha Vote Result 2016 - TMC candidate Javed Khan WON with Vote margin of 11184. Jadavpur, South 24-Parganas [24 Pgs (S)] constituency - Bengal Vidhan Sabha Vote Result 2016 - TMC Heavyweight candidate Manish Gupta LOST to CPM candidate Sujan Chakraborty, who WON with Vote margin of 14942. Sonarpur Uttar, South 24-Parganas [24 Pgs (S)] constituency - Bengal Vidhan Sabha Vote Result 2016 - TMC candidate Firdoushi Begum WON with Vote margin of 24880. Tollygunj, South 24-Parganas [24 Pgs (S)] constituency - Bengal Vidhan Sabha Vote Result 2016 - TMC candidate Arup Biswas WON with Vote margin of 9896. Behala Purba, South 24-Parganas [24 Pgs (S)] constituency - Bengal Vidhan Sabha Vote Result 2016 - TMC candidate Sovan Chattopadhyay WON with Vote margin of 24294. Behala Paschim, South 24-Parganas [24 Pgs (S)] constituency - Bengal Vidhan Sabha Vote Result 2016 - TMC candidate Partha Chatterjee WON with Vote margin of 8896. Maheshtala, South 24-Parganas [24 Pgs (S)] constituency - Bengal Vidhan Sabha Vote Result 2016 - TMC candidate Kasturi Das WON with Vote margin of 12452. Budge Budge, South 24-Parganas [24 Pgs (S)] constituency - Bengal Vidhan Sabha Vote Result 2016 - TMC candidate Ashok Deb WON with Vote margin of 7159. Metiabruj, Kolkata constituency - Bengal Vidhan Sabha Vote Result 2016 - TMC candidate Abdul Alekh Molla WON with Vote margin of 17976. Kolkata Port (Bandar), Kolkata constituency - Bengal Vidhan Sabha Vote Result 2016 - TMC candidate Firhad Hakim (Bobby Hakim) WON with Vote margin of 26548. Bhawanipore, Kolkata constituency - Bengal Vidhan Sabha Vote Result 2016 - TMC candidate Mamata Banerjee [Chief Minister of West Bengal as candidate] WON with Vote margin of 25301. Rashbehari, Kolkata constituency - Bengal Vidhan Sabha Vote Result 2016 - TMC candidate Sovan Deb Chattopadhyay WON with Vote margin of 14553. Ballygunje, Kolkata constituency - Bengal Vidhan Sabha Vote Result 2016 - TMC candidate Subrata Mukhopadhyay WON with Vote margin of 15225. Chowringhee, Kolkata constituency - Bengal Vidhan Sabha Vote Result 2016 - TMC candidate Nayana Bandopadhyay Won by 13216 vote. Entally, Kolkata constituency - Bengal Vidhan Sabha Vote Result 2016 - TMC candidate Swarna Kamal Saha WON with Vote margin of 27988. Beleghata, Kolkata constituency - Bengal Vidhan Sabha Vote Result 2016 - TMC candidate Paresh Pal WON with Vote margin of 26179. Jorasanko, Kolkata constituency - Bengal Vidhan Sabha Vote Result 2016 - TMC candidate Smita Bakshi WON with Vote margin of 6290. Shyampukur, Kolkata constituency - Bengal Vidhan Sabha Vote Result 2016 - TMC candidate Sashi Panja WON by 13155 vote. Maniktala, Kolkata constituency - Bengal Vidhan Sabha Vote Result 2016 - TMC candidate Sadhan Pandey WON with Vote margin of 25311. Cossipore - Belgachia, Kolkata constituency - Bengal Vidhan Sabha Vote Result 2016 - TMC candidate Mala Saha WON with Vote margin of 25810. Bally, Howrah constituency - Bengal Vidhan Sabha Vote Result 2016 - TMC candidate Baishali Dalmia WON with Vote margin of 15403. Howrah Uttar, Howrah constituency - Bengal Vidhan Sabha Vote Result 2016 - TMC candidate Laxmi Ratan Shukla WON with Vote margin of 26959. Howrah Madhya (Central), Howrah constituency - Bengal Vidhan Sabha Vote Result 2016 - TMC candidate Arup Roy WON with Vote margin of 52994. Shibpur, Howrah constituency - Bengal Vidhan Sabha Vote Result 2016 - TMC candidate Jatu Lahiri WON with Vote margin of 27014. Howrah Dakshin, Howrah constituency - Bengal Vidhan Sabha Vote Result 2016 - TMC candidate Brajamohan Majumdar WON with Vote margin of 16194. Sankarail, Howrah constituency - Bengal Vidhan Sabha Vote Result 2016 - TMC candidate Sital Sardar WON with Vote margin of 14757. Panchla, Howrah constituency - Bengal Vidhan Sabha Vote Result 2016 - TMC candidate Gulshan Mallick WON with Vote margin of 31927. Uluberia Purba, Howrah constituency - Bengal Vidhan Sabha Vote Result 2016 - TMC candidate Haidar Aziz Shafi WON with Vote margin of 16279. Uluberia Uttar, Howrah constituency - Bengal Vidhan Sabha Vote Result 2016 - TMC candidate Nirmal Maji WON with Vote margin of 14182. Uluberia Dakshin, Howrah constituency - Bengal Vidhan Sabha Vote Result 2016 - TMC candidate Pulak Roy WON with Vote margin of 35344. Shyampur, Howrah constituency - Bengal Vidhan Sabha Vote Result 2016 - TMC candidate Kalipada Mandal WON with Vote margin of 26586. Bagnan, Howrah constituency - Bengal Vidhan Sabha Vote Result 2016 - TMC candidate Arunava Sen WON with Vote margin of 30197. Amta, Howrah constituency - Bengal Vidhan Sabha Vote Result 2016 - Congress candidate Ashit Mitra WON with Vote margin of 4504. Udaynarayanpur, Howrah constituency - Bengal Vidhan Sabha Vote Result 2016 - TMC candidate Samir Panja WON with Vote margin of 23758. Jagatballavpur, Howrah constituency - Bengal Vidhan Sabha Vote Result 2016 - TMC candidate Abdul Gani WON with Vote margin of 24881. Domjur, Howrah constituency - Bengal Vidhan Sabha Vote Result 2016 - TMC candidate Rajib Bandopadhyay WON with Vote margin of 107701 [This is record number of winning margin]. Uttarpara, Hooghly constituency - Bengal Vidhan Sabha Vote Result 2016 - TMC candidate Prabir Ghosh WON with Vote margin of 12000. Serampore, Hooghly constituency - Bengal Vidhan Sabha Vote Result 2016 - TMC candidate Sudipta Roy WON with Vote margin of 9907. Champdani, Hooghly constituency - Bengal Vidhan Sabha Vote Result 2016 - Congress candidate Abdul Mannan WON with Vote margin of 7282. Singur, Hooghly constituency - Bengal Vidhan Sabha Vote Result 2016 - TMC candidate Rabindranath Bhattacharjee WON with Vote margin of 20327. Chandannagar, Hooghly constituency - Bengal Vidhan Sabha Vote Result 2016 - TMC candidate Indranil Sen WON with Vote margin of 2114. Chinsurah, Hooghly constituency - Bengal Vidhan Sabha Vote Result 2016 - TMC candidate Asit Majumdar WON with Vote margin of 29684. Balagarh, Hooghly constituency - Bengal Vidhan Sabha Vote Result 2016 - TMC candidate Asim Maji WON with Vote margin of 17837. Panduah, Hooghly constituency - Bengal Vidhan Sabha Vote Result 2016 - TMC heavyweight candidate Rahim Nabi LOST to CPM candidate Sekh Amjad Hossain, who WON with Vote margin of 13092. Saptagram, Hooghly constituency - Bengal Vidhan Sabha Vote Result 2016 - TMC candidate Tapan Dasgupta WON with Vote margin of 18567. Chanditala, Hooghly constituency - Bengal Vidhan Sabha Vote Result 2016 - TMC candidate Swati Khandkar WON with Vote margin of 14176. Jangipara, Hooghly constituency - Bengal Vidhan Sabha Vote Result 2016 - TMC candidate Snehasish Chakraborty WON with Vote margin of 23605. Haripal, Hooghly constituency - Bengal Vidhan Sabha Vote Result 2016 - TMC candidate Becharam Manna WON with Vote margin of 31475. Dhanekhali, Hooghly constituency - Bengal Vidhan Sabha Vote Result 2016 - TMC candidate Asima Patra WON with Vote margin of 58644. Tarakeshwar, Hooghly constituency - Bengal Vidhan Sabha Vote Result 2016 - TMC candidate Rachpal Singh WON with Vote margin of 27690. Pursura, Hooghly constituency - Bengal Vidhan Sabha Vote Result 2016 - TMC candidate M Nurujjaman WON with Vote margin of 29127. Arambagh, Hooghly constituency - Bengal Vidhan Sabha Vote Result 2016 - TMC candidate Krishna Chandra Santra WON with Vote margin of 36457. Goghat, Hooghly constituency - Bengal Vidhan Sabha Vote Result 2016 - TMC candidate Manas Majumdar WON with Vote margin of 30886. Khanakul, Hooghly constituency - Bengal Vidhan Sabha Vote Result 2016 - TMC candidate Iqbal Ahmed WON with Vote margin of 43487. Tamluk, Purba Medinipur [East Midnapore] constituency - Bengal Vidhan Sabha Vote Result 2016 - TMC candidate Nirbed Roy LOST to CPI Candidate Adhoke Dinda, who WON with Vote margin of 520. Panskura Purba, Purba Medinipur [East Midnapore] constituency - Bengal Vidhan Sabha Vote Result 2016 - CPM candidate Ibrahim Ali WON with Vote margin of 4767. Panskura Paschim, Purba Medinipur [East Midnapore] constituency - Bengal Vidhan Sabha Vote Result 2016 - TMC candidate Firoja Bibi WON with Vote margin of 3145. Mayna, Purba Medinipur [East Midnapore] constituency - Bengal Vidhan Sabha Vote Result 2016 - TMC candidate Sangram Dalui WON with Vote margin of 12124. Nandakumar, Purba Medinipur [East Midnapore] constituency - Bengal Vidhan Sabha Vote Result 2016 - TMC candidate Sukumar Dey WON with Vote margin of 10876. Mahishadal, Purba Medinipur [East Midnapore] constituency - Bengal Vidhan Sabha Vote Result 2016 - TMC candidate Sudarshan Ghosh Dastidar WON with Vote margin of 16439. Haldia, Purba Medinipur [East Midnapore] constituency - Bengal Vidhan Sabha Vote Result 2016 - CPM candidate Tapasi Mandal WON with Vote margin of 21493. Nandigram, Purba Medinipur [East Midnapore] constituency - Bengal Vidhan Sabha Vote Result 2016 - TMC candidate Suvendu Adhikary WON with Vote margin of 81230. Chandipur, Purba Medinipur [East Midnapore] constituency - Bengal Vidhan Sabha Vote Result 2016 - TMC candidate Amio Kanti Bhattacharjee WON with Vote margin of 9654. Pataspur, Purba Medinipur [East Midnapore] constituency - Bengal Vidhan Sabha Vote Result 2016 - TMC candidate Jyotirmoy Kar WON with Vote margin of 29888. Kanthi Uttar, Purba Medinipur [East Midnapore] constituency - Bengal Vidhan Sabha Vote Result 2016 - TMC candidate Bansari Maity WON with Vote margin of 18576. Bhagabanpur, Purba Medinipur [East Midnapore] constituency - Bengal Vidhan Sabha Vote Result 2016 - TMC candidate Ardhendu Maiti WON with Vote margin of 31943. Khejuri, Purba Medinipur [East Midnapore] constituency - Bengal Vidhan Sabha Vote Result 2016 - TMC candidate Ranajit Mandal WON with Vote margin of 42885. Kanthi Dakshin, Purba Medinipur [East Midnapore] constituency - Bengal Vidhan Sabha Vote Result 2016 - TMC candidate Dibyendu Adhikary WON with Vote margin of 33890. Ramnagar, Purba Medinipur [East Midnapore] constituency - Bengal Vidhan Sabha Vote Result 2016 - TMC candidate Akhil Giri WON with Vote margin of 28553. Egra, Purba Medinipur [East Midnapore] constituency - Bengal Vidhan Sabha Vote Result 2016 - TMC candidate Samaresh Das WON with Vote margin of 25956. Datan, Paschim Medinipur [West Midnapore] constituency - Bengal Vidhan Sabha Vote Result 2016 - TMC candidate Bankim Pradhan WON with Vote margin of 29260. Nayagram, Paschim Medinipur [West Midnapore] constituency - Bengal Vidhan Sabha Vote Result 2016 - TMC candidate Dulal Murmu WON with Vote margin of 43255. Gopiballavpur, Paschim Medinipur [West Midnapore] constituency - Bengal Vidhan Sabha Vote Result 2016 - TMC candidate Churamani Mahato WON with Vote margin of 49558. Jhargram, Paschim Medinipur [West Midnapore] constituency - Bengal Vidhan Sabha Vote Result 2016 - TMC candidate Sukumar Hansda WON with Vote margin of 55228. Keshiari, Paschim Medinipur [West Midnapore] constituency - Bengal Vidhan Sabha Vote Result 2016 - TMC candidate Paresh Murmu WON with Vote margin of 40749. Kharagpur Sadar (Town), Paschim Medinipur [West Midnapore] constituency - Bengal Vidhan Sabha Vote Result 2016 - BJP candidate Dilip Ghosh WON with Vote margin of 6309. Narayangarh, Paschim Medinipur [West Midnapore] constituency - Bengal Vidhan Sabha Vote Result 2016 - TMC candidate Pradyot Ghosh WON with Vote margin of 13589. Sabang, Paschim Medinipur [West Midnapore] constituency - Bengal Vidhan Sabha Vote Result 2016 - Congress candidate Manash Bhuiyan WON with Vote margin of 49167. Pingla, Paschim Medinipur [West Midnapore] constituency - Bengal Vidhan Sabha Vote Result 2016 - TMC candidate Soumen Mahapatra WON with Vote margin of 24218. Kharagpur, Paschim Medinipur [West Midnapore] constituency - Bengal Vidhan Sabha Vote Result 2016 - TMC candidate Dinen Roy WON with Vote margin of 19099. Debra, Paschim Medinipur [West Midnapore] constituency - Bengal Vidhan Sabha Vote Result 2016 - TMC candidate Selima Khatun (Bibi) WON with Vote margin of 11908. Daspur, Paschim Medinipur [West Midnapore] constituency - Bengal Vidhan Sabha Vote Result 2016 - TMC candidate Mumtab Mia WON with Vote margin of 28739. Ghatal, Paschim Medinipur [West Midnapore] constituency - Bengal Vidhan Sabha Vote Result 2016 - TMC candidate Shankar Dalui WON with Vote margin of 19479. Chandrakona, Paschim Medinipur [West Midnapore] constituency - Bengal Vidhan Sabha Vote Result 2016 - TMC candidate Chhaya Dalui WON with Vote margin of 38381. Garhbeta, Paschim Medinipur [West Midnapore] constituency - Bengal Vidhan Sabha Vote Result 2016 - TMC candidate Asish Chakraborty WON with Vote margin of 61157. Salboni, Paschim Medinipur [West Midnapore] constituency - Bengal Vidhan Sabha Vote Result 2016 - TMC candidate Srikanta Mahato WON with Vote margin of 52902. Keshpur, Paschim Medinipur [West Midnapore] constituency - Bengal Vidhan Sabha Vote Result 2016 - TMC candidate Seuli Saha WON with Vote margin of 101151. Midnapore, Paschim Medinipur [West Midnapore] constituency - Bengal Vidhan Sabha Vote Result 2016 - TMC candidate Mrigendra Nath Maity WON with Vote margin of 32987. Binpur, Paschim Medinipur [West Midnapore] constituency - Bengal Vidhan Sabha Vote Result 2016 - TMC candidate Khagendra Nath Hembram WON with Vote margin of 49323. Bandoan, Purulia constituency - Bengal Vidhan Sabha Vote Result 2016 - TMC candidate Rajib Saren WON with Vote margin of 20307. Balarampur, Purulia constituency - Bengal Vidhan Sabha Vote Result 2016 - TMC candidate Shantiram Mahato WON with Vote margin of 10204. Baghmundi, Purulia constituency - Bengal Vidhan Sabha Vote Result 2016 - Congress candidate Nepal Mahato WON with Vote margin of 8587. Jaypur, Purulia constituency - Bengal Vidhan Sabha Vote Result 2016 - TMC candidate Shaktipada Mahato WON with Vote margin of 8763. Purulia, Purulia constituency - Bengal Vidhan Sabha Vote Result 2016 - Congress candidate Sudip Kumar Mukhopadhyay WON with Vote margin of 4911. Manbazar, Purulia constituency - Bengal Vidhan Sabha Vote Result 2016 - TMC candidate Sandhya Rani Tudu WON with Vote margin of 9675. Kossipur, Purulia constituency - Bengal Vidhan Sabha Vote Result 2016 - TMC candidate Swapan Kumar Beltharia WON with Vote margin of 19578. Para, Purulia constituency - Bengal Vidhan Sabha Vote Result 2016 - TMC candidate Umapada Bauri WON with Vote margin of 13878. Raghunathpur, Purulia constituency - Bengal Vidhan Sabha Vote Result 2016 - TMC candidate Purna Chandra Bauri WON with Vote margin of 16232. Saltora, Bankura constituency - Bengal Vidhan Sabha Vote Result 2016 - TMC candidate Swapan Bauri WON with Vote margin of 12523. Chhatna, Bankura constituency - Bengal Vidhan Sabha Vote Result 2016 - RSP candidate Dhirendra Nath Tirkey WON with Vote margin of 2417. Ranibadh, Bankura constituency - Bengal Vidhan Sabha Vote Result 2016 - TMC candidate Jyotsna Mandi WON with Vote margin of 23313. Raipur, Bankura constituency - Bengal Vidhan Sabha Vote Result 2016 - TMC candidate Rabindranath Tudu WON with Vote margin of 26722. Taldangra, Bankura constituency - Bengal Vidhan Sabha Vote Result 2016 - TMC candidate Samir Chakraborty WON with Vote margin of 13669. Bankura, Bankura constituency - Bengal Vidhan Sabha Vote Result 2016 - Congress candidate Shampa Daripa WON with Vote margin of 1329. Borjora, Bankura constituency - Bengal Vidhan Sabha Vote Result 2016 - TMC heavyweight film star candidate Soham Chakraborty LOST to CPIM Candidate Sujit Chakraborty, who WON with Vote margin of 616. Onda, Bankura constituency - Bengal Vidhan Sabha Vote Result 2016 - TMC candidate Rup Kumar Khan WON with Vote margin of 10848. Bishnupur, Bankura constituency - Bengal Vidhan Sabha Vote Result 2016 - Congress candidate Tushar Bhattacharjee WON with Vote margin of 891. Kotulpur, Bankura constituency - Bengal Vidhan Sabha Vote Result 2016 - TMC candidate Shyamal Santra WON with Vote margin of 21248. Indas, Bankura constituency - Bengal Vidhan Sabha Vote Result 2016 - TMC candidate Gurupada Mete WON with Vote margin of 18837. Sonamukhi, Bankura constituency - Bengal Vidhan Sabha Vote Result 2016 - CPM candidate Ajit Roy WON with Vote margin of 8719. Khandaghosh, Burdwan (Bardhaman) constituency - Bengal Vidhan Sabha Vote Result 2016 - TMC candidate Nabin Chandra Bag WON with Vote margin of 3202. Burdwan Dakshin, Burdwan (Bardhaman) constituency - Bengal Vidhan Sabha Vote Result 2016 - TMC candidate Rabi Ranjan Chattopadhyay WON with Vote margin of 29438. Raina, Burdwan (Bardhaman) constituency - Bengal Vidhan Sabha Vote Result 2016 - TMC candidate Nepal Gharui WON with Vote margin of 448. Jamalpur, Burdwan (Bardhaman) constituency - Bengal Vidhan Sabha Vote Result 2016 - CPM candidate Samar Hazra WON with Vote margin of 1423. Monteshwar, Burdwan (Bardhaman) constituency - Bengal Vidhan Sabha Vote Result 2016 - TMC candidate Sajal Panja WON with Vote margin of 706. Kalna, Burdwan (Bardhaman) constituency - Bengal Vidhan Sabha Vote Result 2016 - TMC candidate Biswajit Kundu WON with Vote margin of 25261. Memari, Burdwan (Bardhaman) constituency - Bengal Vidhan Sabha Vote Result 2016 - TMC candidate Nargis Begam WON with Vote margin of 8883. Burdwan Uttar, Burdwan (Bardhaman) constituency - Bengal Vidhan Sabha Vote Result 2016 - TMC candidate Nisith Malik WON with Vote margin of 11505. Bhatar, Burdwan (Bardhaman) constituency - Bengal Vidhan Sabha Vote Result 2016 - TMC candidate Subhash Mandal WON with Vote margin of 6280. Purbasthali Dakshin, Burdwan (Bardhaman) constituency - Bengal Vidhan Sabha Vote Result 2016 - TMC candidate Swapan Debnath WON with Vote margin of 37666. Purbasthali Uttar, Burdwan (Bardhaman) constituency - Bengal Vidhan Sabha Vote Result 2016 - CPM candidate Debasish Ghosh WON with Vote margin of 2828. Katwa, Burdwan (Bardhaman) constituency - Bengal Vidhan Sabha Vote Result 2016 - TMC candidate Rabndranath Chattopadhyay WON with Vote margin of 911. Ketugram, Burdwan (Bardhaman) constituency - Bengal Vidhan Sabha Vote Result 2016 - TMC candidate Sekh Shahnawaz WON with Vote margin of 8729. Mangalkote, Burdwan (Bardhaman) constituency - Bengal Vidhan Sabha Vote Result 2016 - TMC candidate Siddiqulla Chowdhury WON with Vote margin of 11874. Aushgram, Burdwan (Bardhaman) constituency - Bengal Vidhan Sabha Vote Result 2016 - TMC candidate Abhaya Nanda Thandar WON with Vote margin of 6252. Galsi, Burdwan (Bardhaman) constituency - Bengal Vidhan Sabha Vote Result 2016 - TMC candidate Alok Kumar Maji WON with Vote margin of 10771. Pandabeswar, Burdwan (Bardhaman) constituency - Bengal Vidhan Sabha Vote Result 2016 - TMC candidate Jitendra Tiwari WON with Vote margin of 5470. Durgapur Purba, Burdwan (Bardhaman) constituency - Bengal Vidhan Sabha Vote Result 2016 - CPM candidate Santosh Debrar WON with Vote margin of 9131. Durgapur Paschim, Burdwan (Bardhaman) constituency - Bengal Vidhan Sabha Vote Result 2016 - Congress candidate Biswanath Paryal WON with Vote margin of 44824. Raniganj, Burdwan (Bardhaman) constituency - Bengal Vidhan Sabha Vote Result 2016 - CPM candidate Runu Dutta WON with Vote margin of 12385. Jamuria, Burdwan (Bardhaman) constituency - Bengal Vidhan Sabha Vote Result 2016 - CPM candidate Jahanara Khan WON with Vote margin of 7757. Asansol Dakshin, Burdwan (Bardhaman) constituency - Bengal Vidhan Sabha Vote Result 2016 - TMC candidate Tapas Bandopadhyay WON with Vote margin of 14283. Asansol Uttar, Burdwan (Bardhaman) constituency - Bengal Vidhan Sabha Vote Result 2016 - TMC candidate Malay Ghatak WON with Vote margin of 23897. Kulti, Burdwan (Bardhaman) constituency - Bengal Vidhan Sabha Vote Result 2016 - TMC candidate Ujjwal Chattopadhyay WON with Vote margin of 19488. Barabani, Burdwan (Bardhaman) constituency - Bengal Vidhan Sabha Vote Result 2016 - TMC candidate Bidhan Upadhyay WON with Vote margin of 24049. Dubrajpur, Birbhum constituency - Bengal Vidhan Sabha Vote Result 2016 - TMC candidate Naresh Chandra Bauri WON with Vote margin of 39894. Suri, Birbhum constituency - Bengal Vidhan Sabha Vote Result 2016 - TMC candidate Ashok Chattopadhyay WON with Vote margin of 31808. Bolpur, Birbhum constituency - Bengal Vidhan Sabha Vote Result 2016 - TMC candidate Chandranath Singha WON with Vote margin of 50027. Nanur, Birbhum constituency - Bengal Vidhan Sabha Vote Result 2016 - CPM candidate Shyamali Pradhan WON with Vote margin of 25730. Labhpur, Birbhum constituency - Bengal Vidhan Sabha Vote Result 2016 - TMC candidate Manirul Islam WON with Vote margin of 30313. Saithia, Birbhum constituency - Bengal Vidhan Sabha Vote Result 2016 - TMC candidate Nilabati Saha WON with Vote margin of 38611. Mayureshwar, Birbhum constituency - Bengal Vidhan Sabha Vote Result 2016 - TMC candidate Abhijit Roy WON with Vote margin of 38770. Rampurhat, Birbhum constituency - Bengal Vidhan Sabha Vote Result 2016 - TMC candidate Asish Bandopadhyay WON with Vote margin of 21199. Hasan, Birbhum constituency - Bengal Vidhan Sabha Vote Result 2016 - Congress candidate Milton Rashid WON with Vote margin of 16154. Nalhati, Birbhum constituency - Bengal Vidhan Sabha Vote Result 2016 - TMC candidate Mainuddin Shamsh WON with Vote margin of 10328. Murarai, Birbhum constituency - Bengal Vidhan Sabha Vote Result 2016 - TMC candidate Abdur Rahman WON with Vote margin of 280 [Lowest Margin of Winning / lowest Vote Difference]. Bharatiya Janata Party BJP nominated candidate names in 2016 West Bengal Assembly Election, BJP Candidate names in 2016 West Bengal Vidhan Sabha Vote, BJP contesting leaders name list of 2016 Paschimbanga Bidhansabha Poll, Forward Block, BJP Party candidate names in 2016 West Bengal Assembly Election 2016, Constituency wise Bharatiya Janata Party BJP Candidate name list in West Bengal Bidhansava (Vidhan Sabha) Vote 2016, BJP Candidate Names in West Bengal Assembly Election 2016, Seat / Constituency wise BJP Candidate Name List. West Bengal Legislative Assembly Election is starting on & from 4th April 2016 and will happen in six phases. We have already informed you about the Constituency wise 2016 West Bengal Assembly Election dates, TMC Candidate names for 2016 Bengal Vote, and CPM Candidate names in 2016 Bengal Vidhan Sabha Vote. Now, we will check the Bharatiya Janata (BJP) Party nominated candidate names contesting in 2016 West Bengal Vidhan Sabha Vote. Out of 294 Seats in West Bengal, Bharatiya Janata Party (BJP) is only eyeing 75 seats in West Bengal Assembly Election 2016. Let’s check out who is contesting from which assembly constituency (seat) in 2016 West Bengal Bidhansabha Vote. Basirhat Dakshin (South Basirhat) seat / constituency of North 24-Parganas district - West Bengal Assembly Election 2016 Bharatiya Janata Party (BJP) candidate name is Samik Bhattacharjee. Bhawanipur seat / constituency of Kolkata district - West Bengal Assembly Election 2016 Bharatiya Janata Party (BJP) candidate name is Chandra Kr. Bose fighting against TMC Supremo Mamata Banerjee. Chandra Kumar Bose is Netaji Subhash Chandra Bose family member. Dhanekhali seat / constituency of Hooghly district - West Bengal Assembly Election 2016 Bharatiya Janata Party (BJP) candidate name is Sasthi Dule [Ex-Footballer]. Datan seat / constituency of Paschim Medinipur (Midnapore West) district - West Bengal Assembly Election 2016 Bharatiya Janata Party (BJP) candidate name is Shakti Nayak. Sabang seat / constituency of Paschim Medinipur (Midnapore West) district - West Bengal Assembly Election 2016 Bharatiya Janata Party (BJP) candidate name is Kashinath Bose. Pingla seat / constituency of Paschim Medinipur (Midnapore West) district - West Bengal Assembly Election 2016 Bharatiya Janata Party (BJP) candidate name is Antara Bhattacharjee. Nayagram seat / constituency of Paschim Medinipur (Midnapore West) district - West Bengal Assembly Election 2016 Bharatiya Janata Party (BJP) candidate name is Bakul Murmu. Jhargram seat / constituency of Paschim Medinipur (Midnapore West) district - West Bengal Assembly Election 2016 Bharatiya Janata Party (BJP) candidate name is Ajay Kumar Sen.
Gopiballavpur seat / constituency of Paschim Medinipur (Midnapore West) district - West Bengal Assembly Election 2016 Bharatiya Janata Party (BJP) candidate name is Sushil Ghosh. Narayangarh seat / constituency of Paschim Medinipur (Midnapore West) district - West Bengal Assembly Election 2016 Bharatiya Janata Party (BJP) candidate name is Krishnapada Roy. Kharagpur Sadar seat / constituency of Paschim Medinipur (Midnapore West) district - West Bengal Assembly Election 2016 Bharatiya Janata Party (BJP) candidate name is Dilip Ghosh. Kharagpur seat / constituency of Paschim Medinipur (Midnapore West) district - West Bengal Assembly Election 2016 Bharatiya Janata Party (BJP) candidate name is Goutam Bhattacharjee. Ghatal seat / constituency of Paschim Medinipur (Midnapore West) district - West Bengal Assembly Election 2016 Bharatiya Janata Party (BJP) candidate name is Anjushree Dolui. Chandrakona seat / constituency of Paschim Medinipur (Midnapore West) district - West Bengal Assembly Election 2016 Bharatiya Janata Party (BJP) candidate name is Bilash Dolui. Debra seat / constituency of Paschim Medinipur (Midnapore West) district - West Bengal Assembly Election 2016 Bharatiya Janata Party (BJP) candidate name is Surya Kumar Bhuia. Daspur seat / constituency of Paschim Medinipur (Midnapore West) district - West Bengal Assembly Election 2016 Bharatiya Janata Party (BJP) candidate name is Dipak Pramanik. Garhbeta seat / constituency of Paschim Medinipur (Midnapore West) district - West Bengal Assembly Election 2016 Bharatiya Janata Party (BJP) candidate name is Pradip Lodha. Keshpur seat / constituency of Paschim Medinipur (Midnapore West) district - West Bengal Assembly Election 2016 Bharatiya Janata Party (BJP) candidate name is Dipak Patra. Medinipore seat / constituency of Paschim Medinipur (Midnapore West) district - West Bengal Assembly Election 2016 Bharatiya Janata Party (BJP) candidate name is Tushar Mukherjee. Binpur seat / constituency of Paschim Medinipur (Midnapore West) district - West Bengal Assembly Election 2016 Bharatiya Janata Party (BJP) candidate name is Murari Mohan Baskey. Salboni seat / constituency of Paschim Medinipur (Midnapore West) district - West Bengal Assembly Election 2016 Bharatiya Janata Party (BJP) candidate name is Dhiman Koley. Keshiari seat / constituency of Paschim Medinipur (Midnapore West) district - West Bengal Assembly Election 2016 Bharatiya Janata Party (BJP) candidate name is Mangal Hansda. Mayureshwar seat / constituency of Birbhum district - West Bengal Assembly Election 2016 Bharatiya Janata Party (BJP) candidate name is Locket Chatterjee, Bengali film actress. Suri seat / constituency of Birbhum district - West Bengal Assembly Election 2016 Bharatiya Janata Party (BJP) candidate name is Joy Banerjee. Durgapur Purba (East Durgapur) seat / constituency of Bardhaman (Burdwan) district - West Bengal Assembly Election 2016 Bharatiya Janata Party (BJP) candidate name is Akhil Mandal. Durgapur Paschim (West Durgapur) seat / constituency of Bardhaman (Burdwan) district - West Bengal Assembly Election 2016 Bharatiya Janata Party (BJP) candidate name is Kalyan Dubey. Ranigunj seat / constituency of Bardhaman (Burdwan) district - West Bengal Assembly Election 2016 Bharatiya Janata Party (BJP) candidate name is Manish Sharma. Asansol Uttar seat / constituency of Bardhaman (Burdwan) district - West Bengal Assembly Election 2016 Bharatiya Janata Party (BJP) candidate name is Nirmal Karmakar. Kulti seat / constituency of Bardhaman (Burdwan) district - West Bengal Assembly Election 2016 Bharatiya Janata Party (BJP) candidate name is Ajay Poddar. Barabani seat / constituency of Bardhaman (Burdwan) district - West Bengal Assembly Election 2016 Bharatiya Janata Party (BJP) candidate name is Amal Roy. Pandabeswar seat / constituency of Bardhaman (Burdwan) district - West Bengal Assembly Election 2016 Bharatiya Janata Party (BJP) candidate name is Jiten Chatterjee. Jamuria seat / constituency of Bardhaman (Burdwan) district - West Bengal Assembly Election 2016 Bharatiya Janata Party (BJP) candidate name is Santosh Singh. Purulia seat / constituency of Purulia district - West Bengal Assembly Election 2016 Bharatiya Janata Party (BJP) candidate name is Soumyodip Saha. Manbazaar seat / constituency of Purulia district - West Bengal Assembly Election 2016 Bharatiya Janata Party (BJP) candidate name is Gouri Singh Sardar. Kasipur seat / constituency of Purulia district - West Bengal Assembly Election 2016 Bharatiya Janata Party (BJP) candidate name is Kamal Kanta Hansda. Para seat / constituency of Purulia district - West Bengal Assembly Election 2016 Bharatiya Janata Party (BJP) candidate name is Samir Bauri. Raghunathpur seat / constituency of Purulia district - West Bengal Assembly Election 2016 Bharatiya Janata Party (BJP) candidate name is Subhash Mandal. Saltora seat / constituency of Purulia district - West Bengal Assembly Election 2016 Bharatiya Janata Party (BJP) candidate name is Snehasish Mandal. Bandoan seat / constituency of Purulia district - West Bengal Assembly Election 2016 Bharatiya Janata Party (BJP) candidate name is Labhsen Baskey. Balarampur seat / constituency of Purulia district - West Bengal Assembly Election 2016 Bharatiya Janata Party (BJP) candidate name is Subhash Das Goswami. Baghmundi seat / constituency of Purulia district - West Bengal Assembly Election 2016 Bharatiya Janata Party (BJP) candidate name is Jyotirmoy Mahato. Jaypur seat / constituency of Purulia district - West Bengal Assembly Election 2016 Bharatiya Janata Party (BJP) candidate name is Sripati Mahato. Chhatna seat / constituency of Bankura district - West Bengal Assembly Election 2016 Bharatiya Janata Party (BJP) candidate name is Swapan Mukherjee. Ranibandh seat / constituency of Bankura district - West Bengal Assembly Election 2016 Bharatiya Janata Party (BJP) candidate name is Kshudiram Tudu. Raipur seat / constituency of Bankura district - West Bengal Assembly Election 2016 Bharatiya Janata Party (BJP) candidate name is Sudhangshu Hansda. Taldangra seat / constituency of Bankura district - West Bengal Assembly Election 2016 Bharatiya Janata Party (BJP) candidate name is Mahadeb Khan. Bankura seat / constituency of Bankura district - West Bengal Assembly Election 2016 Bharatiya Janata Party (BJP) candidate name is Subhash Sarkar. Onda seat / constituency of Bankura district - West Bengal Assembly Election 2016 Bharatiya Janata Party (BJP) candidate name is Amar Shakha. Bisnupur seat / constituency of Bankura district - West Bengal Assembly Election 2016 Bharatiya Janata Party (BJP) candidate name is Nanda Dulal Banerjee. Kotulpur seat / constituency of Bankura district - West Bengal Assembly Election 2016 Bharatiya Janata Party (BJP) candidate name is Tarun Kotal. Indas seat / constituency of Bankura district - West Bengal Assembly Election 2016 Bharatiya Janata Party (BJP) candidate name is Nirmal Dhara. Sonamukhi seat / constituency of Bankura district - West Bengal Assembly Election 2016 Bharatiya Janata Party (BJP) candidate name is Debjani Roy. Mekhliganj seat / constituency of Coochbehar District - BJP Party Candidate name is Dadhiram Roy. Mathabhanga seat / constituency of Coochbehar District - BJP Party Candidate name is Sushil Barman. Coochbehar Dakshin seat / constituency of Coochbehar District - BJP Party Candidate name is Nikhil Ranjan Dey. Sitalkuchi seat / constituency of Coochbehar District - BJP Party Candidate name is Baren Chandra Barman. Sitai seat / constituency of Coochbehar District - BJP Party Candidate name is Bhaben Chandra Roy. Tufangunj seat / constituency of Coochbehar District - BJP Party Candidate name is Bibhash Sen Aishore. Alipurduar seat / constituency of Alipurduar District - BJP Party Candidate name is Kushal Chattopadhyay. Falakata seat / constituency of Alipurduar District - BJP Party Candidate name is Narayan Chandra Mandal. Dhupguri seat / constituency of Jalpaiguri District - BJP Party Candidate name is Aagun Roy. Maynaguri seat / constituency of Jalpaiguri District - BJP Party Candidate name is Biswajit Roy. Jalpaiguri seat / constituency of Jalpaiguri District - BJP Party Candidate name is Tapan Roy. Nagarkata seat / constituency of Jalpaiguri District - BJP Party Candidate name is John Barla. Islampur seat / constituency of Uttar Dinajpur District - BJP Party Candidate name is Soumyorup Mandal. Goalpokhor seat / constituency of Uttar Dinajpur District - BJP Party Candidate name is Debasish Sarkar. Chakulia seat / constituency of Uttar Dinajpur District - BJP Party Candidate name is Ashim Mirdha. Karandighi seat / constituency of Uttar Dinajpur District - BJP Party Candidate name is Abdul Jalil. Hematabad seat / constituency of Uttar Dinajpur District - BJP Party Candidate name is Bhanuram Barman. Raiganj seat / constituency of Uttar Dinajpur District - BJP Party Candidate name is Pradip Kumar Sarkar. Itahar seat / constituency of Uttar Dinajpur District - BJP Party Candidate name is Younis Haque. Kushmandi seat / constituency of Dakshin Dinajpur District - BJP Party Candidate name is Ranjit Roy. Balurghat seat / constituency of Dakshin Dinajpur District - BJP Party Candidate name is Gautam Chakraborty. Gangarampur seat / constituency of Dakshin Dinajpur District - BJP Party Candidate name is Sanatan Karmakar. Harirampur seat / constituency of Dakshin Dinajpur District - BJP Party Candidate name is Fanibhushan Mahato. Gajole seat / constituency of Malda District - BJP Party Candidate name is Sudhangshu Sarkar. Chanchol seat / constituency of Malda District - BJP Party Candidate name is Dipankar Ram. Harishchandrapur seat / constituency of Malda District - BJP Party Candidate name is Soyerilal Kedia. Malatipur seat / constituency of Malda District - BJP Party Candidate name is Soumitra Sarkar. Ratua seat / constituency of Malda District - BJP Party Candidate name is Sanjay Kumar Saha. Manikchawk seat / constituency of Malda District - BJP Party Candidate name is Shibendu Sekhar Roy. Maldaha seat / constituency of Malda District - BJP Party Candidate name is Gopal Chandra Saha. Englishbazar seat / constituency of Malda District - BJP Party Candidate name is Suman Bandopadhyay. Mathabari seat / constituency of Malda District - BJP Party Candidate name is Shyam Chand Ghosh. Sujapur seat / constituency of Malda District - BJP Party Candidate name is Nandan Kumar Ghosh. Baishnabnagar seat / constituency of Malda District - BJP Party Candidate name is Swadhin Sarkar. Farakka seat / constituency of Murshidabad District - BJP Party Candidate name is Indranath Upadhyay. Samsherganj seat / constituency of Murshidabad District - BJP Party Candidate name is Milan Ghosh. Suti seat / constituency of Murshidabad District - BJP Party Candidate name is Samrat Ghosh. Jangipur seat / constituency of Murshidabad District - BJP Party Candidate name is Sudhan Das. Raghunathgunj seat / constituency of Murshidabad District - BJP Party Candidate name is Golam Modassar. Sagardighi seat / constituency of Murshidabad District - BJP Party Candidate name is Debsaran Ghosh. Lalgola seat / constituency of Murshidabad District - BJP Party Candidate name is Amar Kumar Das. Raninagar seat / constituency of Murshidabad District - BJP Party Candidate name is Prabir Basak. Murshidabad seat / constituency of Murshidabad District - BJP Party Candidate name is Gouri Sankar Ghosh. Nabagram seat / constituency of Murshidabad District - BJP Party Candidate name is Sushanta Marjit. Khargram seat / constituency of Murshidabad District - BJP Party Candidate name is Sumata Mandal. Barancha seat / constituency of Murshidabad District - BJP Party Candidate name is Amio Kumar Das. Kandi seat / constituency of Murshidabad District - BJP Party Candidate name is Binay Bhusan Das. Bharatpur seat / constituency of Murshidabad District - BJP Party Candidate name is Iman Kalyan Mukhopadhyay. Rejinagar seat / constituency of Murshidabad District - BJP Party Candidate name is Bankim Karmakar. Beldanga seat / constituency of Murshidabad District - BJP Party Candidate name is Aloke Ghosh. Hariharpara seat / constituency of Murshidabad District - BJP Party Candidate name is Tulsi Prasad Sukul. Nowda seat / constituency of Murshidabad District - BJP Party Candidate name is Indrani Mukhopadhyay. Domkal seat / constituency of Murshidabad District - BJP Party Candidate name is Nanda Dulal Pal. Jalangi seat / constituency of Murshidabad District - BJP Party Candidate name is Chandan Mandal. Tehatta seat / constituency of Nadia District - BJP Party Candidate name is Arjun Kumar Biswas. Palashi Para seat / constituency of Nadia District - BJP Party Candidate name is Bibhas Chandra Mandal. Kaligunj seat / constituency of Nadia District - BJP Party Candidate name is Saikat Sarkar. Chapra seat / constituency of Nadia District - BJP Party Candidate name is Sutirtha Chakraborty. Nabadwip seat / constituency of Nadia District - BJP Party Candidate name is Goutam Pal. Krishnanagar Dakshin seat / constituency of Nadia District - BJP Party Candidate name is Mahadeb Sarkar. Shantipur seat / constituency of Nadia District - BJP Party Candidate name is Swapan Das. Ranaghat Uttar Paschim seat / constituency of Nadia District - BJP Party Candidate name is Anil Biswas. Ranaghat Uttar-Purba seat / constituency of Nadia District - BJP Party Candidate name is Nikhil Chandra Sarkar. Ranaghat Dakshin seat / constituency of Nadia District - BJP Party Candidate name is Sushmit Ranjan Haldar. Chakdaha seat / constituency of Nadia District - BJP Party Candidate name is Pradip Kr. Sarkar. Kalyani seat / constituency of Nadia District - BJP Party Candidate name is Ranjit Kr. Biswas. Haringhata seat / constituency of Nadia District - BJP Party Candidate name is Suresh Sikdar. Bangaon Uttar seat / constituency of North 24-Parganas District - BJP Party Candidate name is K.D. Biswas. Bongaon Dakshin seat / constituency of North 24-Parganas District - BJP Party Candidate name is Swapan Majumdar. Ashoknagar seat / constituency of North 24-Parganas District - BJP Party Candidate name is Tanuja Chakraborty. Bijpur seat / constituency of North 24-Parganas District - BJP Party Candidate name is Alorani Sarkar. Naihati seat / constituency of North 24-Parganas District - BJP Party Candidate name is Falguni Patra. Bhatpara seat / constituency of North 24-Parganas District - BJP Party Candidate name is R.K. Handa. Jagaddal seat / constituency of North 24-Parganas District - BJP Party Candidate name is Arun Kr. Brahma. Noapara seat / constituency of North 24-Parganas District - BJP Party Candidate name is Amit Sarkar. Barrackpore seat / constituency of North 24-Parganas District - BJP Party Candidate name is Amitabha Roy. Khardaha seat / constituency of North 24-Parganas District - BJP Party Candidate name is Mahadev Basak. Dumdum Uttar seat / constituency of North 24-Parganas District - BJP Party Candidate name is Tapan Chandra Das. Panihati seat / constituency of North 24-Parganas District - BJP Party Candidate name is Dipak Kumar Kundu. Kamarhati seat / constituency of North 24-Parganas District - BJP Party Candidate name is Krishanu Mitra. Dum Dum seat / constituency of North 24-Parganas District - BJP Party Candidate name is Umadas Singha. Rajarhat Newtown seat / constituency of North 24-Parganas District - BJP Party Candidate name is Nupur Ghosh Bandopadhyay. Bidhannagar seat / constituency of North 24-Parganas District - BJP Party Candidate name is Sushanta Ranjan Pal. Rajarhat Gopalpur seat / constituency of North 24-Parganas District - BJP Party Candidate name is Dilip Mitra. Madhyamgram seat / constituency of North 24-Parganas District - BJP Party Candidate name is Debashish Mitra. Barasat seat / constituency of North 24-Parganas District - BJP Party Candidate name is Bithika Mandal. Deganga seat / constituency of North 24-Parganas District - BJP Party Candidate name is Tarun Kanti Ghosh. Haroa seat / constituency of North 24-Parganas District - BJP Party Candidate name is Mannath Bachhar. Minakhan seat / constituency of North 24-Parganas District - BJP Party Candidate name is Jayanta Mandal. Basirhat Uttar seat / constituency of North 24-Parganas District - BJP Party Candidate name is Torfan Ali Gazi. Hingalganj seat / constituency of North 24-Parganas District - BJP Party Candidate name is Labanya Mandal. Gosaba seat / constituency of North 24-Parganas District - BJP Party Candidate name is Sanjay Kumar Nayek. Kultali seat / constituency of South 24-Parganas District - BJP Party Candidate name is Bikram Naskar. Patharpratima seat / constituency of South 24-Parganas District - BJP Party Candidate name is Sridhar Chandra Baghari. Kakdwip seat / constituency of South 24-Parganas District - BJP Party Candidate name is Kaushik Das. Sagar seat / constituency of South 24-Parganas District - BJP Party Candidate name is Sarbari Mukhopadhyay. Kulpi seat / constituency of South 24-Parganas District - BJP Party Candidate name is Swapan Kumar Haldar. Raidighi seat / constituency of South 24-Parganas District - BJP Party Candidate name is Sanghamitra Chowdhury. Mandirbazar seat / constituency of South 24-Parganas District - BJP Party Candidate name is Chhandita Mukherjee. Joynagar seat / constituency of South 24-Parganas District - BJP Party Candidate name is Utpal Kumar Mandal. Baruipur Purba seat / constituency of South 24-Parganas District - BJP Party Candidate name is Amulya Kumar Naskar. Canning Paschim seat / constituency of South 24-Parganas District - BJP Party Candidate name is Manojit Mandal. Canning Purba seat / constituency of South 24-Parganas District - BJP Party Candidate name is Sudarshan Goswami. Baruipur Paschim seat / constituency of South 24-Parganas District - BJP Party Candidate name is Basabdutta Bandopadhyay (Bhattacharjee). Magrahat Purba seat / constituency of South 24-Parganas District - BJP Party Candidate name is Chandan Kumar Naskar. Magrahat Paschim seat / constituency of South 24-Parganas District - BJP Party Candidate name is Subhash Mandal. Diamond Harbour seat / constituency of South 24-Parganas District - BJP Party Candidate name is Krishna Baidya. Falta seat / constituency of South 24-Parganas District - BJP Party Candidate name is Amalendra Nath Mukhopadhyay. Bishnupur seat / constituency of South 24-Parganas District - BJP Party Candidate name is Sekhar Naskar. Sonarpur Dakshin seat / constituency of South 24-Parganas District - BJP Party Candidate name is Manoranjan Joardar. Bhangar seat / constituency of South 24-Parganas District - BJP Party Candidate name is Abani Kumar Mandal. Kasba seat / constituency of South 24-Parganas District - BJP Party Candidate name is Bikash Debnath. Jadavpur seat / constituency of South 24-Parganas District - BJP Party Candidate name is Swarup Prasad Ghosh. Sonarpur Uttar seat / constituency of South 24-Parganas District - BJP Party Candidate name is Satyabrata Dutta. Tollygunje seat / constituency of South 24-Parganas District - BJP Party Candidate name is Vivekananda Singha Roy. Behala Paschim seat / constituency of South 24-Parganas District - BJP Party Candidate name is Hari Krishna Dutta. Maheshtala seat / constituency of South 24-Parganas District - BJP Party Candidate name is Kartick Chandra Ghosh. Budge Budge seat / constituency of South 24-Parganas District - BJP Party Candidate name is Umasankar Ghosh Dastidar. Metiabruj seat / constituency of South 24-Parganas District - BJP Party Candidate name is Sanjay Singha. Kolkata Bandar (Port) seat / constituency of Kolkata District - BJP Party Candidate name is Abodh Kishore Gupta. Rashbehari seat / constituency of Kolkata District - BJP Party Candidate name is Samir Kumar Bandopadhyay. Chowringhee seat / constituency of Kolkata District - BJP Party Candidate name is Riteish Tewari. Entally seat / constituency of Kolkata District - BJP Party Candidate name is Sudhir Pandey. Beleghata seat / constituency of Kolkata District - BJP Party Candidate name is Partha Chowdhury. Jorasanko seat / constituency of Kolkata District - BJP Party Candidate name is Rahul Sinha. Shyampukur seat / constituency of Kolkata District - BJP Party Candidate name is Som Mandal. Maniktala seat / constituency of Kolkata District - BJP Party Candidate name is Sunil Roy. Cossipore Belgachia seat / constituency of Kolkata District - BJP Party Candidate name is Aditya Tandan. Bally seat / constituency of Howrah District - BJP Party Candidate name is Kaushik Chakraborty. Howrah Uttar seat / constituency of Howrah District - BJP Party Candidate name is Roopa Gangopadhyay. Howrah Madhya seat / constituency of Howrah District - BJP Party Candidate name is Sanjay Singha. Shibpur seat / constituency of Howrah District - BJP Party Candidate name is Ram Prasad Bhattacharjee. Howrah Dakshin seat / constituency of Howrah District - BJP Party Candidate name is Sahana Guha Roy. Panchla seat / constituency of Howrah District - BJP Party Candidate name is Bhabaniprasad Roy. Uluberia Purba seat / constituency of Howrah District - BJP Party Candidate name is Papia Mandal. Uluberia Uttar seat / constituency of Howrah District - BJP Party Candidate name is Tapas Khamrui. Uluberia Dakshin seat / constituency of Howrah District - BJP Party Candidate name is Somnath Sadhukhan. Shyampur seat / constituency of Howrah District - BJP Party Candidate name is Mousumi Biswas. Amta seat / constituency of Howrah District - BJP Party Candidate name is Suman Sarkar. Udaynarayanpur seat / constituency of Howrah District - BJP Party Candidate name is Bholanath Sapui. Jagatballavpur seat / constituency of Howrah District - BJP Party Candidate name is Kaushik Mukhopadhyay. Domjur seat / constituency of Howrah District - BJP Party Candidate name is Jayanta Das. Uttarpara seat / constituency of Hooghly District - BJP Party Candidate name is Krishna Bhattacharjee. Champdani seat / constituency of Hooghly District - BJP Party Candidate name is Rajkumari Keshari. Singur seat / constituency of Hooghly District - BJP Party Candidate name is Suren Patra. Chinsurah (Chuchura) seat / constituency of Hooghly District - BJP Party Candidate name is Champa Chakraborty. Balagarh seat / constituency of Hooghly District - BJP Party Candidate name is Subhash Chandra Haldar. Panduah seat / constituency of Hooghly District - BJP Party Candidate name is Ashok Bhattacharjee. Saptagram seat / constituency of Hooghly District - BJP Party Candidate name is Sushanta Sengupta. Chanditala seat / constituency of Hooghly District - BJP Party Candidate name is Sudipta Chattopadhyay. Jangipara seat / constituency of Hooghly District - BJP Party Candidate name is Prosenjit Bag. Haripal seat / constituency of Hooghly District - BJP Party Candidate name is Ramkrishna Pal. Pursura seat / constituency of Hooghly District - BJP Party Candidate name is Subhendu Mukhopadhyay. Arambagh seat / constituency of Hooghly District - BJP Party Candidate name is Murari Bera. Goghat seat / constituency of Hooghly District - BJP Party Candidate name is Basan Roy. Khanakul seat / constituency of Hooghly District - BJP Party Candidate name is Bikash Chandra Dolui. Tamluk seat / constituency of Purba Medinipur District - BJP Party Candidate name is Biswanath Das. Panskura Purba seat / constituency of Purba Medinipur District - BJP Party Candidate name is Aparna Laskar. Panskura Paschim seat / constituency of Purba Medinipur District - BJP Party Candidate name is Bishnupada Kuiti. Mayna seat / constituency of Purba Medinipur District - BJP Party Candidate name is Sukesh Das. Nandakumar seat / constituency of Purba Medinipur District - BJP Party Candidate name is Nilanjan Adhikary. Mahishadal seat / constituency of Purba Medinipur District - BJP Party Candidate name is Prosenjit Samanta. Nandigram seat / constituency of Purba Medinipur District - BJP Party Candidate name is Bijan Kumar Das. Kanthi Uttar seat / constituency of Purba Medinipur District - BJP Party Candidate name is Ashim Das. Bhagabanpur seat / constituency of Purba Medinipur District - BJP Party Candidate name is Prasanta Panda. Khejuri seat / constituency of Purba Medinipur District - BJP Party Candidate name is Swadesh Patra. Kanthi Dakshin seat / constituency of Purba Medinipur District - BJP Party Candidate name is Kamalesh Mishra. Ramnagar seat / constituency of Purba Medinipur District - BJP Party Candidate name is Tapan Kar. Egra seat / constituency of Purba Medinipur District - BJP Party Candidate name is Minati Sur. Keshiari seat / constituency of Paschim Medinipur District - BJP Party Candidate name is Binod Behari Murmu. Purulia seat / constituency of Purulia District - BJP Party Candidate name is Nagendranath Ojha. Para seat / constituency of Purulia District - BJP Party Candidate name is Nadiyar Chand Bauri. Barjora seat / constituency of Bankura District - BJP Party Candidate name is Sujit Aagasti. Khandaghosh seat / constituency of Bardhaman District - BJP Party Candidate name is Ashok Santra. Raina seat / constituency of Bardhaman District - BJP Party Candidate name is Kashi Patra. Jamalpur seat / constituency of Bardhaman District - BJP Party Candidate name is Pallab Kumar Roy. Manteshwar seat / constituency of Bardhaman District - BJP Party Candidate name is Biswajit Poddar. Kalna seat / constituency of Bardhaman District - BJP Party Candidate name is Newton Majumdar. Memari seat / constituency of Bardhaman District - BJP Party Candidate name is Bishadeb Bhattacharjee. Burdwan Uttar seat / constituency of Bardhaman District - BJP Party Candidate name is Prashanta Saha. Purbasthali Dakshin seat / constituency of Bardhaman District - BJP Party Candidate name is Rajib Bhowmik. Purbasthali Uttar seat / constituency of Bardhaman District - BJP Party Candidate name is Swapan Bhattacharjee. Katwa seat / constituency of Bardhaman District - BJP Party Candidate name is Anil Dutta. Ketugram seat / constituency of Bardhaman District - BJP Party Candidate name is Banku Behari Ghosh. Mangalkote seat / constituency of Bardhaman District - BJP Party Candidate name is Gopal Chattopadhyay. Aausgram seat / constituency of Bardhaman District - BJP Party Candidate name is Sanatan Majhi. Galsi seat / constituency of Bardhaman District - BJP Party Candidate name is Sundar Pasowan. Dubrajpur seat / constituency of Birbhum District - BJP Party Candidate name is Ram Prasad Das. Bolpur seat / constituency of Birbhum District - BJP Party Candidate name is Dilip Ghosh. Labhpur seat / constituency of Birbhum District - BJP Party Candidate name is Nirmal Chandra Mandal. Sainthia seat / constituency of Birbhum District - BJP Party Candidate name is Priya Saha. Rampurhat seat / constituency of Birbhum District - BJP Party Candidate name is Doodh Kumar Mandal. Hasan seat / constituency of Birbhum District - BJP Party Candidate name is Rupa Mandal. Nalhati seat / constituency of Birbhum District - BJP Party Candidate name is Anil Singha. Heavyweight candidates like Locket Chatterjee (film actress), Sashti Duley (Ex Foot Ball Player), Chandra Kumar Bose (Netaji Subhash Chandra Bose family member), Dilip Ghosh (Rajya Sabhapati), Joy Banerjee, Shamik Bhattacharya etc. are going to contest for Bharatiya Janata Party (BJP) in 2016 Bengal Bidhansabha Vote. But, BJP candidate names like Bappi Lahiri, P.C. Sorcar (Junior) etc. are missing as ‘contesting candidates’ in 2016 Bengal Bidhansava Vote BJP Candidate List. Congress Party Candidate names for West Bengal Assembly Election 2016. CPM Candidate names in West Bengal Bidhansabha Vote 2016. Forward Block, CPIM & CPM nominated candidate names in 2016 West Bengal Assembly Election, CPM Candidate names in 2016 West Bengal Vidhan Sabha Vote, CPM (CPM) contesting leaders name list of 2016 Paschimbanga Bidhansabha Poll, Forward Block, CPI & CPM Party candidate names in 2016 West Bengal Assembly Election 2016, Constituency wise Forward Block, CPI & CPM Candidate name list in West Bengal Bidhansava (Vidhan Sabha) Vote 2016, CPM Candidate Names in West Bengal Assembly Election 2016, Seat / Constituency wise CPM Candidate Name List. West Bengal Legislative Assembly Election is starting 4th April 2016 and will happen in six phases. We have already informed you about the District wise 2016 West Bengal Assembly Election dates and TMC Candidate names in 2016 Bengal Vote. Now, we will check all the Forward Block, DSP, CPI & CPM nominated candidate names contesting in 2016 West Bengal Vidhan Sabha Vote. Let’s check out who is contesting from which assembly constituency (seat) in 2016 West Bengal Bidhansabha Vote. Mekhliganj, Coochbehar constituency West Bengal Assembly Election 2016 Forward Block Candidate name is Paresh Chandra Adhikary [Candidate of Forward Block Party]. Mathabhanga, Coochbehar constituency West Bengal Assembly Election 2016 CPM Candidate name is Khagen Burman [SC candidate of CPM]. Cooch Behar Uttar (North), Coochbehar constituency West Bengal Assembly Election 2016 Forward Block Candidate name is Narendra Nath Roy. Sitalkhuchi, Coochbehar constituency West Bengal Assembly Election 2016 CPM Candidate name is Namodipti Adhikary [SC candidate of CPM]. Sitai, Coochbehar constituency West Bengal Assembly Election 2016 CPM Candidate name is not announced yet [SC candidate of CPM]. Dinhata, Coochbehar constituency West Bengal Assembly Election 2016 Forward Block Candidate name is Akshyay Thakur. Natabari, Coochbehar constituency West Bengal Assembly Election 2016 CPIM Candidate name is Tamshir Ali. Tufangunj, Coochbehar constituency West Bengal Assembly Election 2016 CPM Candidate name is not announced yet. Kumargram, Alipurduar constituency West Bengal Assembly Election 2016 RSP Candidate name is Manoj Orao [ST candidate of RSP]. Kalchini, Alipurduar constituency West Bengal Assembly Election 2016 CPM Candidate name is not announced yet [ST candidate of CPM]. Alipurduar, Alipurduar constituency West Bengal Assembly Election 2016 RSP Candidate name is Nirmal Das. Falakata, Alipurduar constituency West Bengal Assembly Election 2016 CPM Candidate name is Kshitish Roy. Madarihat, Alipurduar constituency West Bengal Assembly Election 2016 RSP Candidate name is Kumari Kujur [ST Candidate of RSP]. Dhupguri, Jalpaiguri constituency West Bengal Assembly Election 2016 CPM Candidate name is Mamata Roy [SC candidate of CPM]. Maynaguri, Jalpaiguri constituency West Bengal Assembly Election 2016 RSP Candidate name is Chhaya Roy. Jalpaiguri, Jalpaiguri constituency West Bengal Assembly Election 2016 CPM Candidate name is not announced yet [SC Candidate]. Rajganj, Jalpaiguri constituency West Bengal Assembly Election 2016 CPM Candidate name is Jyoti Ranjan Roy [SC candidate]. Dabgram - Fulbari, Jalpaiguri constituency West Bengal Assembly Election 2016 CPM Candidate name is Dilip Singha (CPM). Mal, Jalpaiguri constituency West Bengal Assembly Election 2016 CPM Candidate name is not announced yet [ST candidate]. Nagrakata, Jalpaiguri constituency West Bengal Assembly Election 2016 CPM Candidate name is not announced yet [ST candidate]. Kalimpong, Darjeeling constituency West Bengal Assembly Election 2016 CPM candidate name is not announced yet. Darjeeling, Darjeeling constituency West Bengal Assembly Election 2016 CPM candidate name is not announced yet. Karsiang, Darjeeling constituency West Bengal Assembly Election 2016 CPM candidate name is not announced yet. Matigara - Naxalbari, Darjeeling constituency West Bengal Assembly Election 2016 CPM candidate name is not announced yet [SC candidate]. Siliguri, Darjeeling constituency West Bengal Assembly Election 2016 CPM candidate name is Ashok Bhattacharjee (CPM). Fasideowa, Darjeeling constituency West Bengal Assembly Election 2016 CPM candidate name is not announced yet [ST candidate]. Chopra, Uttar Dinajpur [North Dinajpur] constituency West Bengal Assembly Election 2016 CPM candidate name is Ekramul Hoque (CPM). Islampur, Uttar Dinajpur [North Dinajpur] constituency West Bengal Assembly Election 2016 JDU candidate name is Mohammad Arshad. Goalpokhar, Uttar Dinajpur [North Dinajpur] constituency West Bengal Assembly Election 2016 CPM candidate name is not announced yet. Chakulia, Uttar Dinajpur [North Dinajpur] constituency West Bengal Assembly Election 2016 Forward Block Party candidate name is Ali Imran Ramaz (Victor) (Candidate of Forward Block Party). Karandighi, Uttar Dinajpur [North Dinajpur] constituency West Bengal Assembly Election 2016 Forward Block Party candidate name is Gokul Bihari Roy [Forward Block candidate]. Hematabad, Uttar Dinajpur [North Dinajpur] constituency West Bengal Assembly Election 2016 CPM candidate name is Deben Roy [SC candidate of CPM]. Kaliaganj, Uttar Dinajpur [North Dinajpur] constituency West Bengal Assembly Election 2016 CPM candidate name is not announced yet [SC candidate]. Raygunj, Uttar Dinajpur [North Dinajpur] constituency West Bengal Assembly Election 2016 CPM candidate name is Jyoti Ranjan Roy. Itahar, Uttar Dinajpur [North Dinajpur] constituency West Bengal Assembly Election 2016 CPI candidate name is Srikumar Mukhopadhyay [CPI Party Candidate]. Kushmandi, Dakshin Dinajpur [South Dinajpur] constituency West Bengal Assembly Election 2016 CPM candidate name is Narmada Roy [SC candidate of RSP Party]. Kumarganj, Dakshin Dinajpur [South Dinajpur] constituency West Bengal Assembly Election 2016 CPM candidate name is Mafuja Khatun [CPM Candidate]. Balurghat, Dakshin Dinajpur [South Dinajpur] constituency West Bengal Assembly Election 2016 RSP candidate name is Biswanath Chowdhury. Tapan, Dakshin Dinajpur [South Dinajpur] constituency West Bengal Assembly Election 2016 RSP candidate name is Raghu Orao [ST candidate of RSP]. Gangarampur, Dakshin Dinajpur [South Dinajpur] constituency West Bengal Assembly Election 2016 CPM candidate name is not announced yet [SC candidate of CPM]. Harirampur, Dakshin Dinajpur [South Dinajpur] constituency West Bengal Assembly Election 2016 CPM candidate name is Rafikul Islam (CPM). Habibpur, Malda constituency West Bengal Assembly Election 2016 CPM candidate name is Khagen Murmu [ST candidate of CPM]. Gajole, Malda constituency West Bengal Assembly Election 2016 CPM candidate name is Dipali Biswas. Chanchol, Malda constituency West Bengal Assembly Election 2016 CPM candidate name is not announced yet. Harishchandrapur, Malda constituency West Bengal Assembly Election 2016 Forward Block candidate name is Rafikul Alam. Malatipur, Malda constituency West Bengal Assembly Election 2016 RSP candidate name is Abdur Rahim Bakshi. Ratua, Malda constituency West Bengal Assembly Election 2016 CPM candidate name is not announced yet. Manikchawk, Malda constituency West Bengal Assembly Election 2016 CPM candidate name is not announced yet. Maldaha, Malda constituency West Bengal Assembly Election 2016 CPM candidate name is not announced yet [SC candidate]. Engrezbazar, Malda constituency West Bengal Assembly Election 2016 Independent (Nirdal) candidate name is Nihar Ghosh. Mothabari, Malda constituency West Bengal Assembly Election 2016 CPM candidate name is not announced yet. Sujapur, Malda constituency West Bengal Assembly Election 2016 CPM candidate name is not announced yet. Baisnabnagar, Malda constituency West Bengal Assembly Election 2016 CPM candidate name is not announced yet. Farakka, Murshidabad constituency West Bengal Assembly Election 2016 CPM candidate name is not announced yet. Shamsherganj, Murshidabad constituency West Bengal Assembly Election 2016 CPM candidate name is Toyab Ali. Suti, Murshidabad constituency West Bengal Assembly Election 2016 RSP candidate name is Nizamuddin Ahmad. Jangipur, Murshidabad constituency West Bengal Assembly Election 2016 CPM candidate name is Somnath Singha. Raghunathganj, Murshidabad constituency West Bengal Assembly Election 2016 RSP candidate name is Abul Hasnath. Sagardighi, Murshidabad constituency West Bengal Assembly Election 2016 CPM candidate name is Rajab Ali Mallick. Lalgola, Murshidabad constituency West Bengal Assembly Election 2016 CPM candidate name is not announced yet. Raninagar, Murshidabad constituency West Bengal Assembly Election 2016 CPM candidate name is not announced yet. Bhagangola, Murshidabad constituency West Bengal Assembly Election 2016 CPM candidate name is Mohsin Ali. Murshidabad, Murshidabad constituency West Bengal Assembly Election 2016 CPM candidate name is not announced yet. Nabagram, Murshidabad constituency West Bengal Assembly Election 2016 CPM candidate name is Kanai Chandra Mandal [SC Candidate of CPM]. Khargram, Murshidabad constituency West Bengal Assembly Election 2016 CPM candidate name is not announced yet [SC Candidate]. Barancha, Murshidabad constituency West Bengal Assembly Election 2016 RSP candidate name is Binay Sarkar [SC Candidate of RSP]. Kandi, Murshidabad constituency West Bengal Assembly Election 2016 CPM candidate name is not announced yet. Bharatpur, Murshidabad constituency West Bengal Assembly Election 2016 RSP candidate name is Eid Mohammad. Rejinagar, Murshidabad constituency West Bengal Assembly Election 2016 CPM candidate name is not announced yet. Beldanga, Murshidabad constituency West Bengal Assembly Election 2016 CPM candidate name is not announced yet. Berhampur, Murshidabad constituency West Bengal Assembly Election 2016 CPM candidate name is not announced yet. Hariharpara, Murshidabad constituency West Bengal Assembly Election 2016 CPM candidate name is Insar Ali Biswas (CPM). Naoda, Murshidabad constituency West Bengal Assembly Election 2016 RSP candidate name is Abdul Bari Molla. Domkal, Murshidabad constituency West Bengal Assembly Election 2016 CPM candidate name is Anisur Rahman (CPM). Jalangi, Murshidabad constituency West Bengal Assembly Election 2016 CPM candidate name is Abdur Rezzak. Karimpur, Nadia constituency West Bengal Assembly Election 2016 CPM candidate name is Samarendra Nath Ghosh (CPM). Tehatta, Nadia constituency West Bengal Assembly Election 2016 CPM candidate name is Ranjit Kumar Mandal (CPM). Palasi Para (Plassey), Nadia constituency West Bengal Assembly Election 2016 CPM candidate name is S M Shadi (CPM). Kaligunj, Nadia constituency West Bengal Assembly Election 2016 CPM candidate name is not announced yet. Nakashipara, Nadia constituency West Bengal Assembly Election 2016 CPM candidate name is Tanmay Ganguly. Chapra, Nadia constituency West Bengal Assembly Election 2016 CPM candidate name is Shamsul Islam Molla (CPM). Krishnanagar Uttar (North), Nadia constituency West Bengal Assembly Election 2016 CPM candidate name is not announced yet. Nabadwip, Nadia constituency West Bengal Assembly Election 2016 CPM candidate name is Sumit Biswas (CPM). Krishnanagar Dakshin (South), Nadia constituency West Bengal Assembly Election 2016 CPM candidate name is Meghlal Sekh (CPM). Shantipur, Nadia constituency West Bengal Assembly Election 2016 RCPI candidate name is Sanjay Basu. Ranaghat Uttar Paschim [North West], Nadia constituency West Bengal Assembly Election 2016 CPM candidate name is not announced yet. Krishnagunj, Nadia constituency West Bengal Assembly Election 2016 CPM candidate name is not announced yet [SC candidate of CPM]. Ranaghat Uttar Purba (North East), Nadia constituency West Bengal Assembly Election 2016 CPM candidate name is Babusona Sarkar [SC Candidate of CPM]. Ranaghat Dakshin [South], Nadia constituency West Bengal Assembly Election 2016 CPM candidate name is Rama Biswas [SC Candidate of CPM]. Chakdaha, Nadia constituency West Bengal Assembly Election 2016 CPM candidate name is Biswanath Gupta. Kalyani, Nadia constituency West Bengal Assembly Election 2016 CPM candidate name is Alokesh Das [SC Candidate of CPM]. Haringhata, Nadia constituency West Bengal Assembly Election 2016 CPM candidate name is Ajay Das [SC Candidate of CPM]. Bagda, North 24-Parganas [24 Pgs (N)] constituency West Bengal Assembly Election 2016 Forward Block candidate name is Mrinal Sikdar. Bongaon Uttar, North 24-Parganas [24 Pgs (N)] constituency West Bengal Assembly Election 2016 CPM candidate name is not announced yet [SC Candidate of CPM]. Bongaon Dakshin, North 24-Parganas [24 Pgs (N)] constituency West Bengal Assembly Election 2016 CPM candidate name is Ramen Addyo [SC Candidate of CPM]. Gaighata, North 24-Parganas [24 Pgs (N)] constituency West Bengal Assembly Election 2016 CPI candidate name is Kapil Krishna Thakur. Swarupnagar, North 24-Parganas [24 Pgs (N)] constituency West Bengal Assembly Election 2016 CPM candidate name is Dhiman Sarkar [SC Candidate of CPM]. Baduria, North 24-Parganas [24 Pgs (N)] constituency West Bengal Assembly Election 2016 CPM candidate name is not announced yet. Habra, North 24-Parganas [24 Pgs (N)] constituency West Bengal Assembly Election 2016 CPM candidate name is Asish Kantha Mukhopadhyay. Ashoknagar, North 24-Parganas [24 Pgs (N)] constituency West Bengal Assembly Election 2016 CPM candidate name is Satyasebi Kar (CPM). Amdanga, North 24-Parganas [24 Pgs (N)] constituency West Bengal Assembly Election 2016 CPM candidate name is Abdus Sattar. Bijpur, North 24-Parganas [24 Pgs (N)] constituency West Bengal Assembly Election 2016 CPM candidate name is Rabin Mukherjee. Naihati, North 24-Parganas [24 Pgs (N)] constituency West Bengal Assembly Election 2016 CPM candidate name is Gargi Chattopadhyay (CPM). Bhatpara, North 24-Parganas [24 Pgs (N)] constituency West Bengal Assembly Election 2016 RJD candidate name is Noor Ahmad. Jagaddal, North 24-Parganas [24 Pgs (N)] constituency West Bengal Assembly Election 2016 Forward Block candidate name is Haripada Biswas. Noapara, North 24-Parganas [24 Pgs (N)] constituency West Bengal Assembly Election 2016 CPM candidate name is not announced yet. Barrackpore, North 24-Parganas [24 Pgs (N)] constituency West Bengal Assembly Election 2016 CPM candidate name is Debasish Bhowmick. Khardaha, North 24-Parganas [24 Pgs (N)] constituency West Bengal Assembly Election 2016 CPM candidate name is Ashim Dasgupta. Dumdum Uttar (North Dum Dum), North 24-Parganas [24 Pgs (N)] constituency West Bengal Assembly Election 2016 CPM candidate name is Tanmay Bhattacharjee. Panihati, North 24-Parganas [24 Pgs (N)] constituency West Bengal Assembly Election 2016 CPM candidate name is not announced yet. Kamarhati, North 24-Parganas [24 Pgs (N)] constituency West Bengal Assembly Election 2016 CPM candidate name is Manas Mukherjee (CPM). Baranagar, North 24-Parganas [24 Pgs (N)] constituency West Bengal Assembly Election 2016 RSP candidate name is Sukumar Ghosh. Dum Dum, North 24-Parganas [24 Pgs (N)] constituency West Bengal Assembly Election 2016 CPM candidate name is Palash Das. Rajarhat New Town, North 24-Parganas [24 Pgs (N)] constituency West Bengal Assembly Election 2016 CPM candidate name is Balai Chattopadhyay. Bidhannagar, North 24-Parganas [24 Pgs (N)] constituency West Bengal Assembly Election 2016 CPM candidate name is not announced yet. Rajarhat Gopalpur, North 24-Parganas [24 Pgs (N)] constituency West Bengal Assembly Election 2016 CPM candidate name is Nepal Deb Bhattacharjee. Madhyamgram, North 24-Parganas [24 Pgs (N)] constituency West Bengal Assembly Election 2016 CPM candidate name is not announced yet. Barasat, North 24-Parganas [24 Pgs (N)] constituency West Bengal Assembly Election 2016 Forward Block candidate name is Sanjib Chattopadhyay. Deganga, North 24-Parganas [24 Pgs (N)] constituency West Bengal Assembly Election 2016 Forward Block candidate name is Hasanujjaman Chaudhury. Haroa, North 24-Parganas [24 Pgs (N)] constituency West Bengal Assembly Election 2016 CPM candidate name is not announced yet. Minakha, North 24-Parganas [24 Pgs (N)] constituency West Bengal Assembly Election 2016 CPM candidate name is Dinabandhu Mandal [SC Candidate of CPM]. Sandeshkhali, North 24-Parganas [24 Pgs (N)] constituency West Bengal Assembly Election 2016 CPM candidate name is Nirapad Sardar [ST Candidate of CPM]. Basirhat Dakshin, North 24-Parganas [24 Pgs (N)] constituency West Bengal Assembly Election 2016 CPM candidate name is not announced yet. Basirhat Uttar, North 24-Parganas [24 Pgs (N)] constituency West Bengal Assembly Election 2016 CPM candidate name is Rafikul Islam. Hingalganj, North 24-Parganas [24 Pgs (N)] constituency West Bengal Assembly Election 2016 CPI candidate name is Anandamay Mandal [SC Candidate of CPI]. Gosaba, South 24-Parganas [24 Pgs (S)] constituency West Bengal Assembly Election 2016 RSP candidate name is Uttam Saha. Basanti, South 24-Parganas [24 Pgs (S)] constituency West Bengal Assembly Election 2016 RSP candidate name is Subhash Naskar [SC Candidate of RSP]. Kultali, South 24-Parganas [24 Pgs (S)] constituency West Bengal Assembly Election 2016 CPM candidate name is Ramshankar Haldar [SC Candidate of CPM]. Patharpratima, South 24-Parganas [24 Pgs (S)] constituency West Bengal Assembly Election 2016 CPM candidate name is not announced yet. Kakdwip, South 24-Parganas [24 Pgs (S)] constituency West Bengal Assembly Election 2016 PDS candidate name is Samir Putatunda. Sagar, South 24-Parganas [24 Pgs (S)] constituency West Bengal Assembly Election 2016 CPM candidate name is Ashim Mandal (CPM). Kulpi, South 24-Parganas [24 Pgs (S)] constituency West Bengal Assembly Election 2016 CPM candidate name is Riajul Khan (CPM). Raidighi, South 24-Parganas [24 Pgs (S)] constituency West Bengal Assembly Election 2016 CPM candidate name is Kanti Ganguly (CPM) fighting against heavyweight TMC candidate Debashree Roy. Mandirbazar, South 24-Parganas [24 Pgs (S)] constituency West Bengal Assembly Election 2016 CPM candidate name is Sarat Naskar [SC Candidate of CPM]. Jaynagar, South 24-Parganas [24 Pgs (S)] constituency West Bengal Assembly Election 2016 CPM candidate name is not announced yet [SC Candidate of CPM]. Baruipur Purba (East), South 24-Parganas [24 Pgs (S)] constituency West Bengal Assembly Election 2016 CPM candidate name is Sujay Mistri [SC Candidate of CPM]. Canning Paschim (West), South 24-Parganas [24 Pgs (S)] constituency West Bengal Assembly Election 2016 CPM candidate name is not announced yet [SC Candidate of CPM]. Canning Purba (East), South 24-Parganas [24 Pgs (S)] constituency West Bengal Assembly Election 2016 CPM candidate name is Ajijar Rahman (CPM). Baruipur Paschim [West], South 24-Parganas [24 Pgs (S)] constituency West Bengal Assembly Election 2016 CPM candidate name is Safiuddin Khan (CPM). Magrahat Purba, South 24-Parganas [24 Pgs (S)] constituency West Bengal Assembly Election 2016 CPM candidate name is Chandan Saha [SC Candidate of CPM]. Magrahat Paschim, South 24-Parganas [24 Pgs (S)] constituency West Bengal Assembly Election 2016 CPM candidate name is not announced yet. Diamond Harbour, South 24-Parganas [24 Pgs (S)] constituency West Bengal Assembly Election 2016 CPM candidate name is Abul Hasnad (CPM). Falta, South 24-Parganas [24 Pgs (S)] constituency West Bengal Assembly Election 2016 CPM candidate name is Bidhan Parui (CPM). Satgachia, South 24-Parganas [24 Pgs (S)] constituency West Bengal Assembly Election 2016 CPM candidate name is Paramita Ghosh (CPM). Bishnupur, South 24-Parganas [24 Pgs (S)] constituency West Bengal Assembly Election 2016 CPM candidate name is Alok Sardar [SC Candidate of CPM]. Sonarpur Dakshin, South 24-Parganas [24 Pgs (S)] constituency West Bengal Assembly Election 2016 CPI candidate name is Tarit Chakraborty. Bhangar, South 24-Parganas [24 Pgs (S)] constituency West Bengal Assembly Election 2016 CPM candidate name is Rashid Gaji (CPM) to fight against ex-comrade Rezzak Molla, now contesting as TMC candidate. Kasba, South 24-Parganas [24 Pgs (S)] constituency West Bengal Assembly Election 2016 CPM candidate name is Shatarup Ghosh (CPM). Jadavpur, South 24-Parganas [24 Pgs (S)] constituency West Bengal Assembly Election 2016 CPM candidate name is Sujan Chakraborty. Sonarpur Uttar, South 24-Parganas [24 Pgs (S)] constituency West Bengal Assembly Election 2016 CPM candidate name is Jyotirmoyee Sikdar (CPM). Tollygunj, South 24-Parganas [24 Pgs (S)] constituency West Bengal Assembly Election 2016 CPM candidate name is Madhuja Sen Roy. Behala Purba, South 24-Parganas [24 Pgs (S)] constituency West Bengal Assembly Election 2016 CPM candidate name is not announced yet. Behala Paschim, South 24-Parganas [24 Pgs (S)] constituency West Bengal Assembly Election 2016 CPM candidate name is Kaustav Chattopadhyay (CPM) to fight against heavyweight TMC candidate Shri Partha Chatterjee. Maheshtala, South 24-Parganas [24 Pgs (S)] constituency West Bengal Assembly Election 2016 CPM candidate name is Samik Lahiri (CPM). Budge Budge, South 24-Parganas [24 Pgs (S)] constituency West Bengal Assembly Election 2016 CPM candidate name is not announced yet. Metiabruj, Kolkata constituency West Bengal Assembly Election 2016 CPM candidate name is Abdul Manirul Islam. Kolkata Port (Bandar), Kolkata constituency West Bengal Assembly Election 2016 CPM candidate name is not announced yet. Bhawanipore, Kolkata constituency West Bengal Assembly Election 2016 CPM candidate name is not announced yet. Rashbehari, Kolkata constituency West Bengal Assembly Election 2016 CPM candidate name is not announced yet. Ballygunje, Kolkata constituency West Bengal Assembly Election 2016 CPM candidate name is not announced yet. Chowringhee, Kolkata constituency West Bengal Assembly Election 2016 CPM candidate name is not announced yet. Entally, Kolkata constituency West Bengal Assembly Election 2016 CPM candidate name is Debesh Das. Beleghata, Kolkata constituency West Bengal Assembly Election 2016 CPM candidate name is Rajiv Biswas. Jorasanko, Kolkata constituency West Bengal Assembly Election 2016 RJD candidate name is Abinash Agarwal. Shyampukur, Kolkata constituency West Bengal Assembly Election 2016 Forward Block candidate name is Keshab Bhattacharjee. Maniktala, Kolkata constituency West Bengal Assembly Election 2016 CPM candidate name is Rajiv Majumdar (CPM). Cossipore - Belgachia, Kolkata constituency West Bengal Assembly Election 2016 CPM candidate name is Koneenica Ghosh (CPM). Bally, Howrah constituency West Bengal Assembly Election 2016 CPM candidate name is Anjan Bera [CPM]. Howrah Uttar, Howrah constituency West Bengal Assembly Election 2016 CPM candidate name is not announced yet. Howrah Madhya (Central), Howrah constituency West Bengal Assembly Election 2016 JDU candidate name is Amitabh Dutta. Shibpur, Howrah constituency West Bengal Assembly Election 2016 Forward Block candidate name is Jagannath Bhattacharjee. Howrah Dakshin, Howrah constituency West Bengal Assembly Election 2016 CPM candidate name is Arindam Basu (CPM). Sankarail, Howrah constituency West Bengal Assembly Election 2016 CPM candidate name is Samir Malik [SC Candidate of CPM]. Panchla, Howrah constituency West Bengal Assembly Election 2016 Forward Block candidate name is Dolly Roy. Uluberia Purba, Howrah constituency West Bengal Assembly Election 2016 CPM candidate name is Sabiruddin Molla (CPM). Uluberia Uttar, Howrah constituency West Bengal Assembly Election 2016 CPM candidate name is not announced yet [SC Candidate of CPM]. Uluberia Dakshin, Howrah constituency West Bengal Assembly Election 2016 Forward Block candidate name is Mohammad Naseruddin. Shyampur, Howrah constituency West Bengal Assembly Election 2016 CPM candidate name is not announced yet. Bagnan, Howrah constituency West Bengal Assembly Election 2016 CPM candidate name is Mina Ghosh Mukhopadhyay (CPM). Amta, Howrah constituency West Bengal Assembly Election 2016 CPM candidate name is not announced yet. Udaynarayanpur, Howrah constituency West Bengal Assembly Election 2016 CPM candidate name is Shukla Adak. Jagatballavpur, Howrah constituency West Bengal Assembly Election 2016 CPM candidate name is Baidyanath Basu (CPM). Domjur, Howrah constituency West Bengal Assembly Election 2016 CPM candidate name is not announced yet. Uttarpara, Hooghly constituency West Bengal Assembly Election 2016 CPM candidate name is Shrutinath Praharaj (CPM). Serampore, Hooghly constituency West Bengal Assembly Election 2016 CPM candidate name is not announced yet. Champdani, Hooghly constituency West Bengal Assembly Election 2016 CPM candidate name is not announced yet. Singur, Hooghly constituency West Bengal Assembly Election 2016 CPM candidate name is Rabin Deb (CPM). Chandannagar, Hooghly constituency West Bengal Assembly Election 2016 CPM candidate name is Goutam Sarkar (CPM). Chinsurah, Hooghly constituency West Bengal Assembly Election 2016 Forward Block candidate name is Pranab Ghosh. Balagarh, Hooghly constituency West Bengal Assembly Election 2016 CPM candidate name is Panchu Gopal Mandal [SC candidate of CPM]. Panduah, Hooghly constituency West Bengal Assembly Election 2016 CPM candidate name is Sekh Amjad Hossain (CPM). Saptagram, Hooghly constituency West Bengal Assembly Election 2016 CPM candidate name is not announced yet. Chanditala, Hooghly constituency West Bengal Assembly Election 2016 CPM candidate name is Mohammad Sekh Azim Ali (CPM). Jangipara, Hooghly constituency West Bengal Assembly Election 2016 CPM candidate name is Pabitra Singha Roy (CPM). Haripal, Hooghly constituency West Bengal Assembly Election 2016 CPM candidate name is Jogiyananda Mitra (CPM). Dhanekhali, Hooghly constituency West Bengal Assembly Election 2016 Forward Block candidate name is Pradip Majumdar. Tarakeshwar, Hooghly constituency West Bengal Assembly Election 2016 CPM candidate name is not announced yet. Pursura, Hooghly constituency West Bengal Assembly Election 2016 CPM candidate name is Archana Mandal (CPM). Arambagh, Hooghly constituency West Bengal Assembly Election 2016 CPM candidate name is Asit Malik [SC Candidate of CPM]. Goghat, Hooghly constituency West Bengal Assembly Election 2016 Forward Block candidate name is Biswanath Karak [SC Candidate of Forward Block party]. Khanakul, Hooghly constituency West Bengal Assembly Election 2016 CPM candidate name is Islam Ali Khan. Tamluk, Purba Medinipur [East Midnapore] constituency West Bengal Assembly Election 2016 CPM candidate name is Ashok Dinda (CPI Candidate). Panskura Purba, Purba Medinipur [East Midnapore] constituency West Bengal Assembly Election 2016 CPM candidate name is Ibrahim Ali (CPM). Panskura Paschim, Purba Medinipur [East Midnapore] constituency West Bengal Assembly Election 2016 CPI candidate name is Chittaranjan Das Thakur (CPI Party Candidate). Mayna, Purba Medinipur [East Midnapore] constituency West Bengal Assembly Election 2016 CPM candidate name is Chhandayati Das (CPM). Nandakumar, Purba Medinipur [East Midnapore] constituency West Bengal Assembly Election 2016 Independent candidate name is Shiraj Khan. Mahishadal, Purba Medinipur [East Midnapore] constituency West Bengal Assembly Election 2016 Independent candidate name is Subrata Maity. Haldia, Purba Medinipur [East Midnapore] constituency West Bengal Assembly Election 2016 CPM candidate name is Tapasi Mandal [SC Candidate of CPM]. Nandigram, Purba Medinipur [East Midnapore] constituency West Bengal Assembly Election 2016 CPI candidate name is Kabir Mohammad. Chandipur, Purba Medinipur [East Midnapore] constituency West Bengal Assembly Election 2016 CPM candidate name is Mangalendu Pradhan (CPM). Pataspur, Purba Medinipur [East Midnapore] constituency West Bengal Assembly Election 2016 CPI candidate name is Makhon Nayek (CPI Party Candidate). Kanthi Uttar, Purba Medinipur [East Midnapore] constituency West Bengal Assembly Election 2016 CPM candidate name is Chakradhar Meikap (CPM). Bhagabanpur, Purba Medinipur [East Midnapore] constituency West Bengal Assembly Election 2016 CPM candidate name is not announced yet. Khejuri, Purba Medinipur [East Midnapore] constituency West Bengal Assembly Election 2016 CPM candidate name is not announced yet [SC Candidate of CPM]. Kanthi Dakshin, Purba Medinipur [East Midnapore] constituency West Bengal Assembly Election 2016 CPI candidate name is Uttam Pradhan. Ramnagar, Purba Medinipur [East Midnapore] constituency West Bengal Assembly Election 2016 CPM candidate name is Tapash Singha (CPM). Egra, Purba Medinipur [East Midnapore] constituency West Bengal Assembly Election 2016 DSP candidate name is Mamud Hossain. Datan, Paschim Medinipur [West Midnapore] constituency West Bengal Assembly Election 2016 CPI candidate name is Shisir Patra (CPI Party Candidate). Nayagram, Paschim Medinipur [West Midnapore] constituency West Bengal Assembly Election 2016 CPM candidate name is Pulin Bihari Baskey [ST candidate of CPM]. Gopiballavpur, Paschim Medinipur [West Midnapore] constituency West Bengal Assembly Election 2016 CPM candidate name is Pulinbihari Baskey. Jhargram, Paschim Medinipur [West Midnapore] constituency West Bengal Assembly Election 2016 CPM candidate name is not announced yet. Keshiari, Paschim Medinipur [West Midnapore] constituency West Bengal Assembly Election 2016 CPM candidate name is Biram Mandi [ST Candidate of CPM]. Kharagpur Sadar (Town), Paschim Medinipur [West Midnapore] constituency West Bengal Assembly Election 2016 CPM candidate name is not announced yet. Narayangarh, Paschim Medinipur [West Midnapore] constituency West Bengal Assembly Election 2016 CPM candidate name is Surya Kanto Mishra (CPM). Sabang, Paschim Medinipur [West Midnapore] constituency West Bengal Assembly Election 2016 CPM candidate name is not announced yet. Pingla, Paschim Medinipur [West Midnapore] constituency West Bengal Assembly Election 2016 DSP candidate name is Prabodh Chandra Singha [DSP Party Candidate]. Kharagpur, Paschim Medinipur [West Midnapore] constituency West Bengal Assembly Election 2016 CPM candidate name is Shahjahan Ali (CPM). Debra, Paschim Medinipur [West Midnapore] constituency West Bengal Assembly Election 2016 CPM candidate name is Jahangir Karim (CPM). Daspur, Paschim Medinipur [West Midnapore] constituency West Bengal Assembly Election 2016 CPM candidate name is Swapan Santra. Ghatal, Paschim Medinipur [West Midnapore] constituency West Bengal Assembly Election 2016 CPM candidate name is Kamal Dolui (SC candidate of CPM). Chandrakona, Paschim Medinipur [West Midnapore] constituency West Bengal Assembly Election 2016 CPM candidate name is Shanti Badhuk [SC Candidate of CPM]. Garhbeta, Paschim Medinipur [West Midnapore] constituency West Bengal Assembly Election 2016 CPM candidate name is Sarafroz Khan (CPM). Salboni, Paschim Medinipur [West Midnapore] constituency West Bengal Assembly Election 2016 CPM candidate name is Shyam Pandey (CPM). Keshpur, Paschim Medinipur [West Midnapore] constituency West Bengal Assembly Election 2016 CPM candidate name is Rameshwar Dolui [SC Candidate of CPM]. Midnapore, Paschim Medinipur [West Midnapore] constituency West Bengal Assembly Election 2016 CPI candidate name is Santosh Rana. Binpur, Paschim Medinipur [West Midnapore] constituency West Bengal Assembly Election 2016 CPM candidate name is Dibakar Hansda [ST Candidate of CPM]. Bandoan, Purulia constituency West Bengal Assembly Election 2016 CPM candidate name is Sushanta Besra [ST Candidate of CPM]. Balarampur, Purulia constituency West Bengal Assembly Election 2016 CPM candidate name is not announced yet. Baghmundi, Purulia constituency West Bengal Assembly Election 2016 CPM candidate name is not announced yet. Jaypur, Purulia constituency West Bengal Assembly Election 2016 Forward Block Party candidate name is Dhiren Mahato [Forward Block Candidate]. Purulia, Purulia constituency West Bengal Assembly Election 2016 CPM candidate name is not announced yet. Manbazar, Purulia constituency West Bengal Assembly Election 2016 CPM candidate name is Epil Murmu [ST Candidate of CPM]. Kossipur, Purulia constituency West Bengal Assembly Election 2016 CPM candidate name is Sudin Kisku (CPM). Para, Purulia constituency West Bengal Assembly Election 2016 CPM candidate name is Dinanath Bauri [SC Candidate of CPM]. Raghunathpur, Purulia constituency West Bengal Assembly Election 2016 CPM candidate name is Satyanarayan Bauri [SC Candidate of CPM]. Saltora, Bankura constituency West Bengal Assembly Election 2016 CPM candidate name is Sashti Charan Bauri [SC Candidate of CPM]. Chhatna, Bankura constituency West Bengal Assembly Election 2016 RSP candidate name is Dhirendranath Layek. Ranibadh, Bankura constituency West Bengal Assembly Election 2016 CPM candidate name is Debalina Hembram [ST Candidate of CPM]. Raipur, Bankura constituency West Bengal Assembly Election 2016 CPM candidate name is Deep Hansda [ST Candidate of CPM]. Taldangra, Bankura constituency West Bengal Assembly Election 2016 CPM candidate name is Amio Patra (CPM). Bankura, Bankura constituency West Bengal Assembly Election 2016 CPM candidate name is not announced yet. Borjora, Bankura constituency West Bengal Assembly Election 2016 CPM candidate name is Sujit Chakraborty fighting against Soham Chakraborty (Actor) TMC candidate. Onda, Bankura constituency West Bengal Assembly Election 2016 Forward Block candidate name is Manik Mukhopadhyay. Bishnupur, Bankura constituency West Bengal Assembly Election 2016 CPM candidate name is not announced yet. Kotulpur, Bankura constituency West Bengal Assembly Election 2016 CPM candidate name is not announced yet [SC Candidate of CPM]. Indas, Bankura constituency West Bengal Assembly Election 2016 CPM candidate name is Dilip Malik [SC candidate of CPM]. Sonamukhi, Bankura constituency West Bengal Assembly Election 2016 CPM candidate name is Ajit Roy [SC Candidate of CPM]. Khandaghosh, Burdwan (Bardhaman) constituency West Bengal Assembly Election 2016 CPM candidate name is Ashima Roy [SC Candidate of CPM]. Burdwan Dakshin, Burdwan (Bardhaman) constituency West Bengal Assembly Election 2016 CPM candidate name is Aainul Haque. Raina, Burdwan (Bardhaman) constituency West Bengal Assembly Election 2016 CPM candidate name is Basudev Kha [SC Candidate of CPM]. Jamalpur, Burdwan (Bardhaman) constituency West Bengal Assembly Election 2016 Marksbadi Forward Block candidate name is Samar Hazra. Monteshwar, Burdwan (Bardhaman) constituency West Bengal Assembly Election 2016 CPM candidate name is Chowdhury Mohammad Hedayetulla (CPM). Kalna, Burdwan (Bardhaman) constituency West Bengal Assembly Election 2016 CPM candidate name is Sukul Chandra Sikdar [SC Candidate of CPM]. Memari, Burdwan (Bardhaman) constituency West Bengal Assembly Election 2016 CPM candidate name is Debasish Ghosh. Burdwan Uttar, Burdwan (Bardhaman) constituency West Bengal Assembly Election 2016 CPM candidate name is Aparna Saha [SC Candidate of CPM]. Bhatar, Burdwan (Bardhaman) constituency West Bengal Assembly Election 2016 CPM candidate name is Bama Charan Bandopadhyay. Purbasthali Dakshin, Burdwan (Bardhaman) constituency West Bengal Assembly Election 2016 CPM candidate name is not announced yet. Purbasthali Uttar, Burdwan (Bardhaman) constituency West Bengal Assembly Election 2016 CPM candidate name is Pradip Saha. Katwa, Burdwan (Bardhaman) constituency West Bengal Assembly Election 2016 CPM candidate name is not announced yet. Ketugram, Burdwan (Bardhaman) constituency West Bengal Assembly Election 2016 CPM candidate name is Sayed Abul Kader. Mangalkote, Burdwan (Bardhaman) constituency West Bengal Assembly Election 2016 CPM candidate name is Shahjahan Chowdhury (CPM). Aushgram, Burdwan (Bardhaman) constituency West Bengal Assembly Election 2016 CPM candidate name is Basudeb Mete [SC Candidate of CPM]. Galsi, Burdwan (Bardhaman) constituency West Bengal Assembly Election 2016 Forward Block candidate name is Nanda Pandit [SC Candidate of Forward Block]. Pandabeswar, Burdwan (Bardhaman) constituency West Bengal Assembly Election 2016 CPM candidate name is Gouranga Chattopadhyay (CPM). Durgapur Purba, Burdwan (Bardhaman) constituency West Bengal Assembly Election 2016 CPM candidate name is Santosh Deb Roy (CPM). Durgapur Paschim, Burdwan (Bardhaman) constituency West Bengal Assembly Election 2016 CPM candidate name is Biprendu Kumar Chakraborty. Raniganj, Burdwan (Bardhaman) constituency West Bengal Assembly Election 2016 CPM candidate name is Runu Dutta (CPM). Jamuria, Burdwan (Bardhaman) constituency West Bengal Assembly Election 2016 CPM candidate name is Jahanara Khan (CPM). Asansol Dakshin, Burdwan (Bardhaman) constituency West Bengal Assembly Election 2016 CPM candidate name is Hemanta Prabhakar. Asansol Uttar, Burdwan (Bardhaman) constituency West Bengal Assembly Election 2016 CPM candidate name is not announced yet. Kulti, Burdwan (Bardhaman) constituency West Bengal Assembly Election 2016 CPM candidate name is not announced yet. Barabani, Burdwan (Bardhaman) constituency West Bengal Assembly Election 2016 CPM candidate name is Shipra Mukhopadhyay (CPM). Dubrajpur, Birbhum constituency West Bengal Assembly Election 2016 Forward Block Party candidate name is Bijay Bagdi [SC Candidate of Forward Block Party]. Suri, Birbhum constituency West Bengal Assembly Election 2016 CPM candidate name is Ram Chandra Dom (CPM). Bolpur, Birbhum constituency West Bengal Assembly Election 2016 RSP candidate name is Tapan Hore. Nanur, Birbhum constituency West Bengal Assembly Election 2016 CPM candidate name is Shyamali Pradhan [SC Candidate of CPM]. Labhpur, Birbhum constituency West Bengal Assembly Election 2016 CPM candidate name is Mafijul Karim (CPM). Saithia, Birbhum constituency West Bengal Assembly Election 2016 CPM candidate name is Dhiren Bagdi [SC Candidate of CPM]. Mayureshwar, Birbhum constituency West Bengal Assembly Election 2016 CPM candidate name is Arup Bag (CPM). Rampurhat, Birbhum constituency West Bengal Assembly Election 2016 Forward Block candidate name is Mohammad Hannan. Hasan, Birbhum constituency West Bengal Assembly Election 2016 RCPI candidate name is Kamal Hasan. Nalhati, Birbhum constituency West Bengal Assembly Election 2016 Forward Block Party candidate name is Dipak Chattopadhyay (Forward Block Party Candidate). Murarai, Birbhum constituency West Bengal Assembly Election 2016 CPM candidate name is not announced yet. CPM and his alliance parties (Forward Block, DSP, RSP, CPI etc.) has announced the 1st Phase of Nominated Candidate List on 7th March 2016 for West Bengal Assembly Election. The rest will be announced soon.